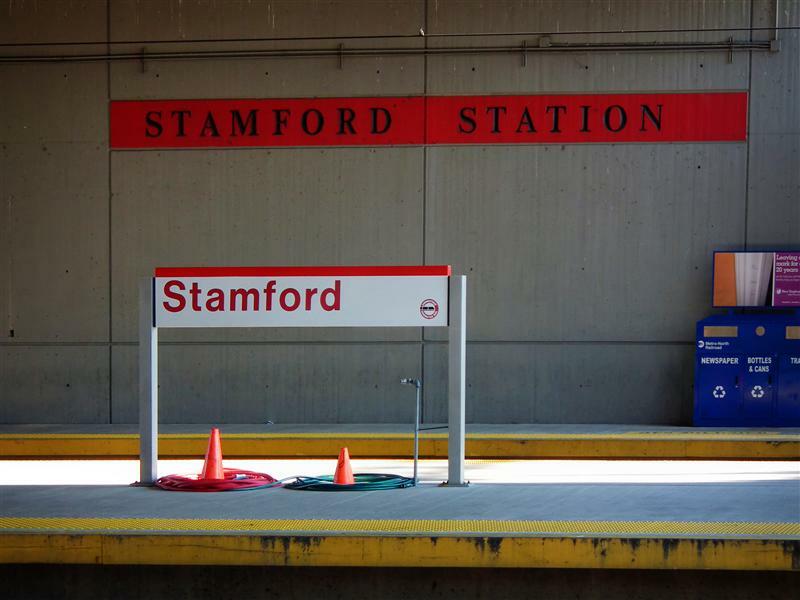 Welcome to Stamford, the next and final stop on our tour of the New Haven Line. 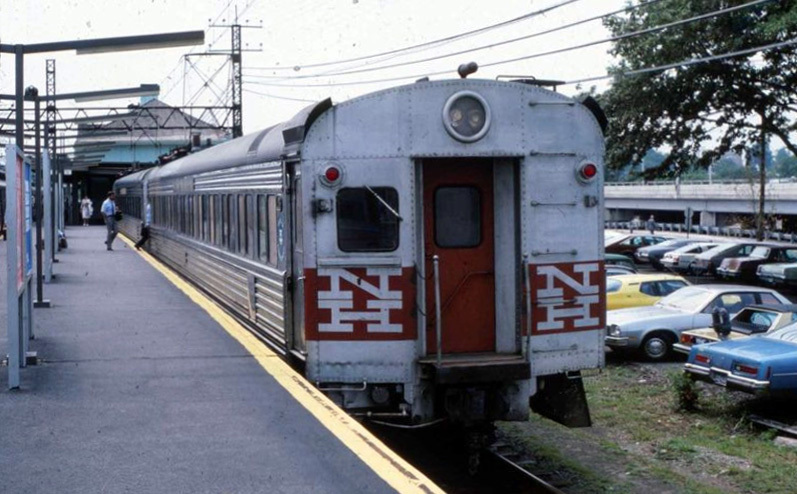 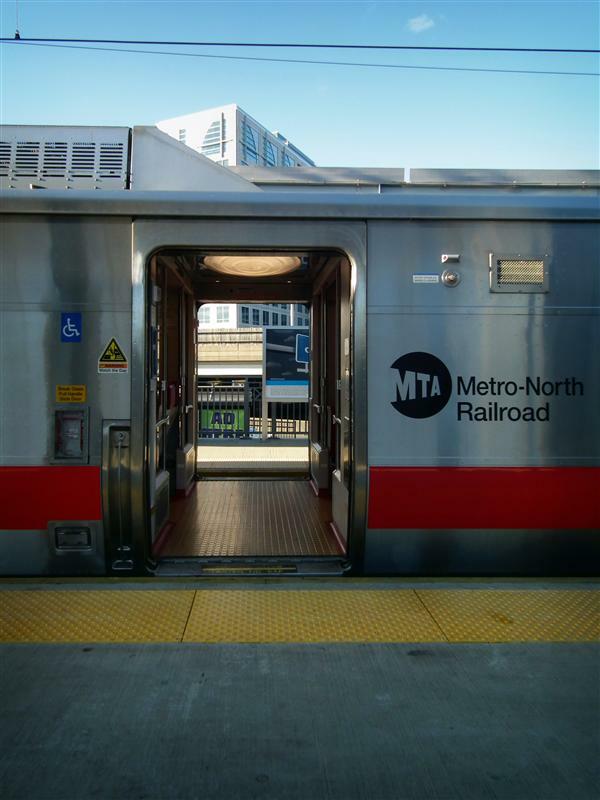 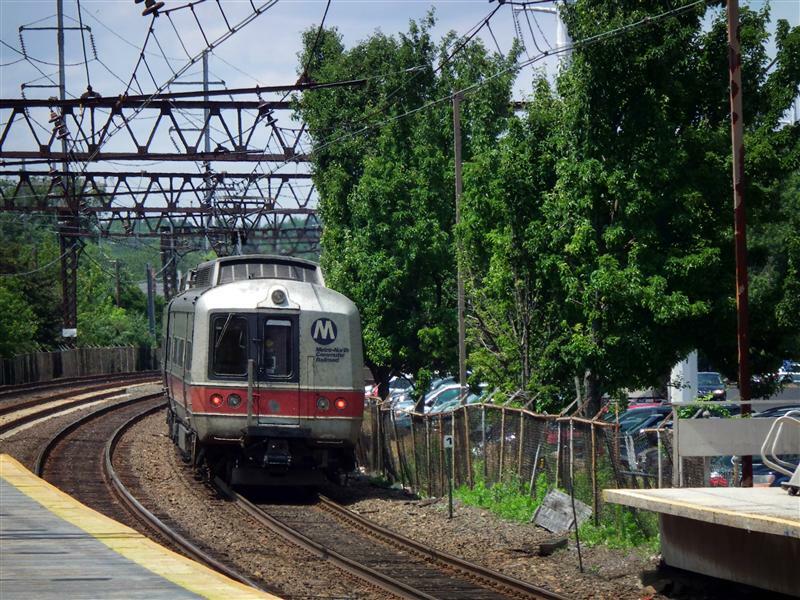 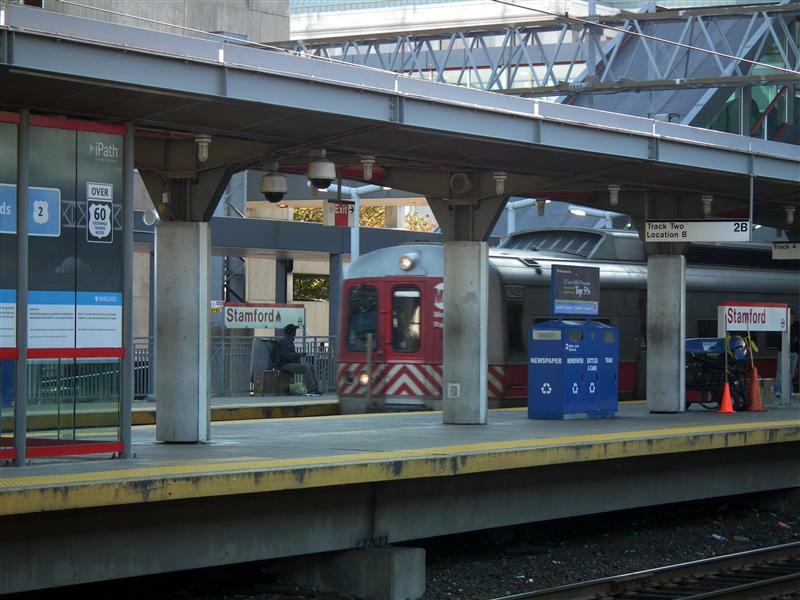 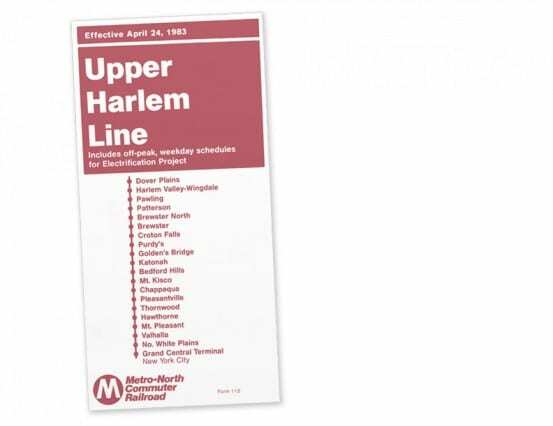 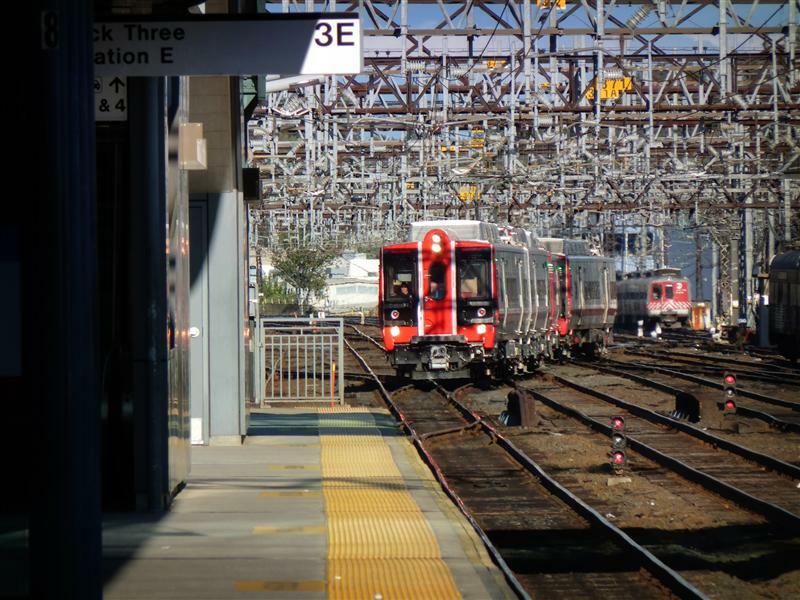 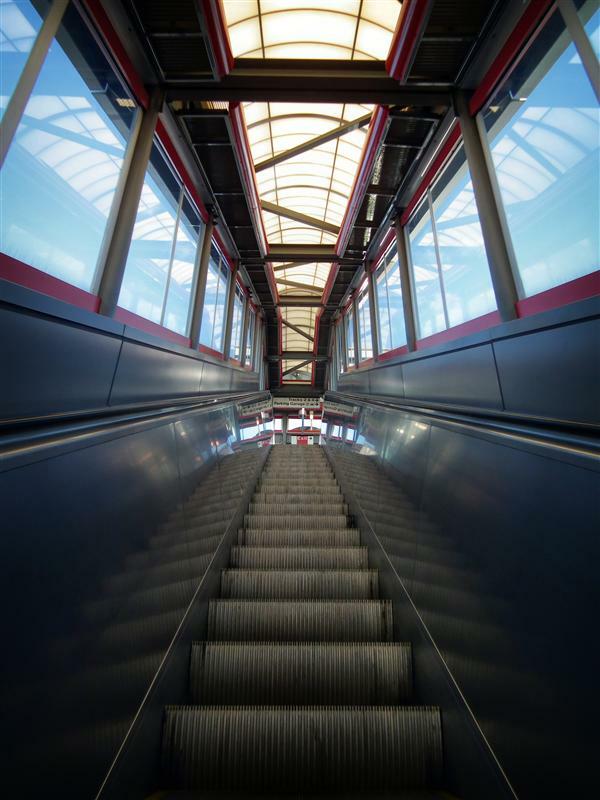 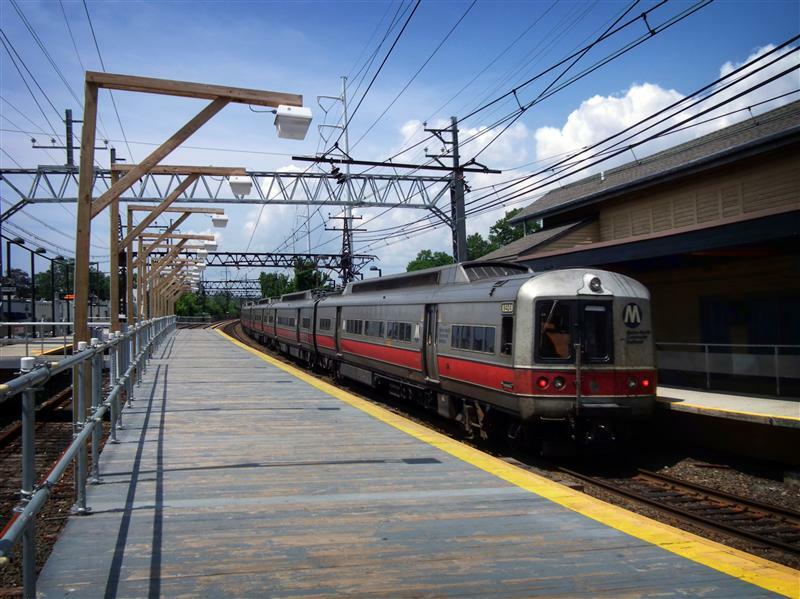 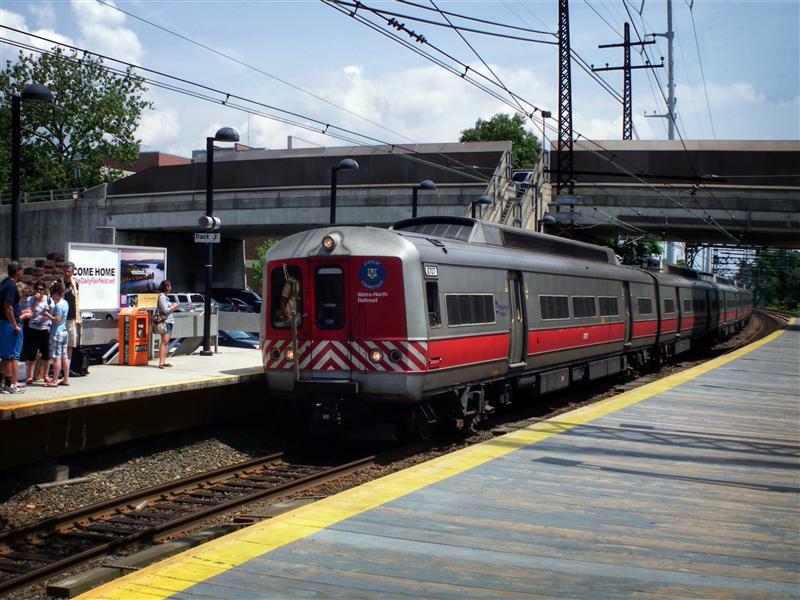 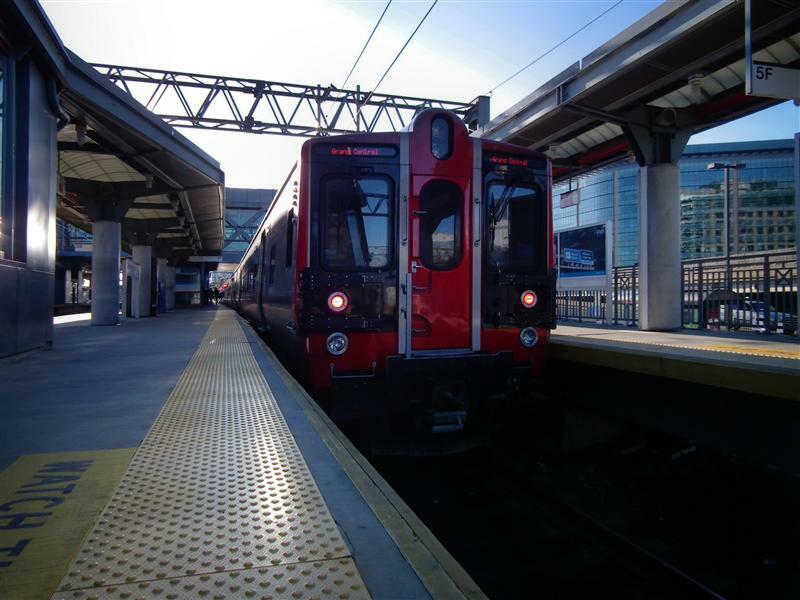 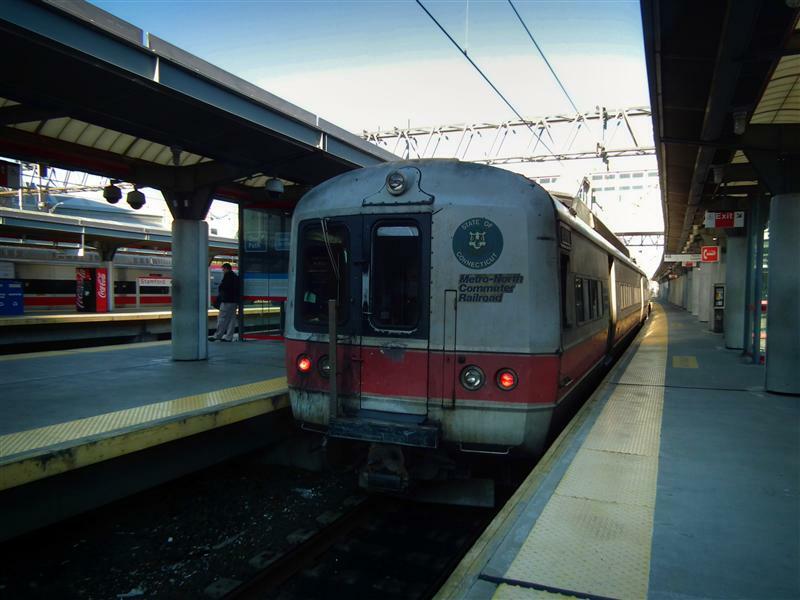 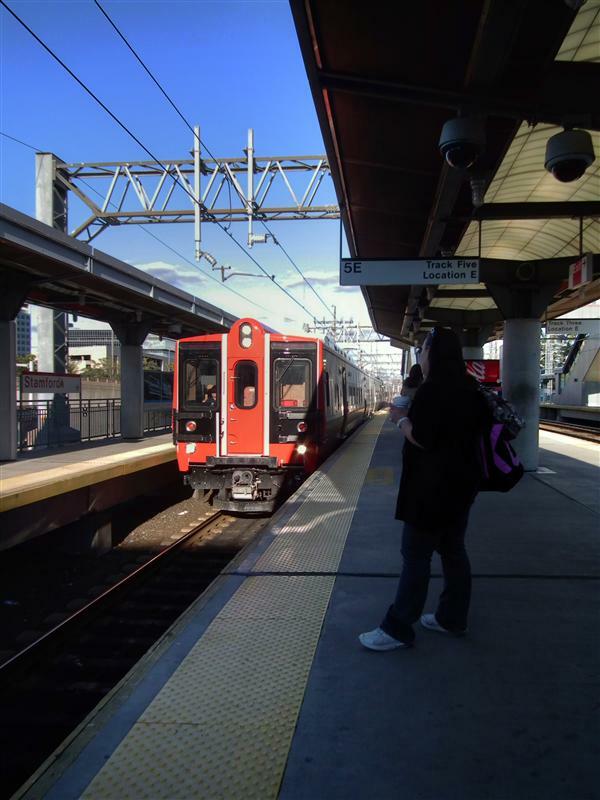 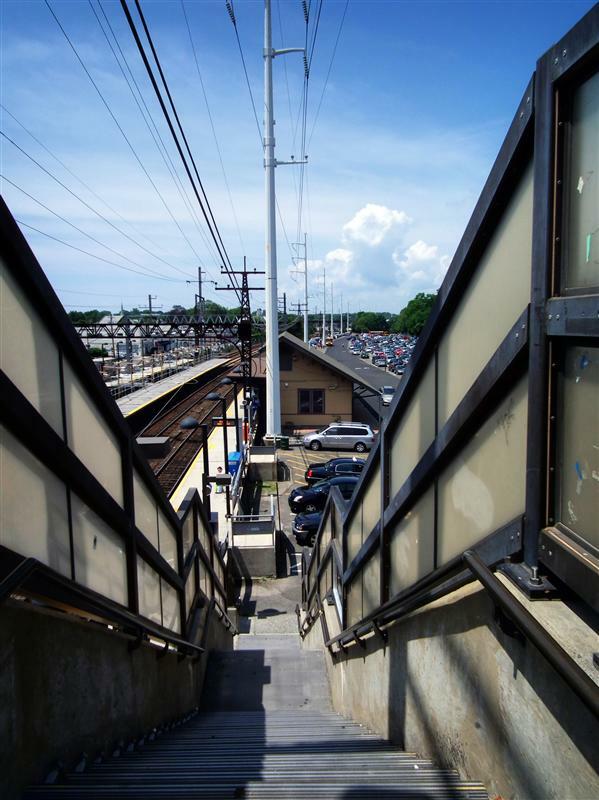 We’ve seen the best (and worst) that the line and its branches have to offer – from the attractive New Canaan, Mamaroneck, and New Haven stations, to the barely-there stations of Merritt 7 and Ansonia. 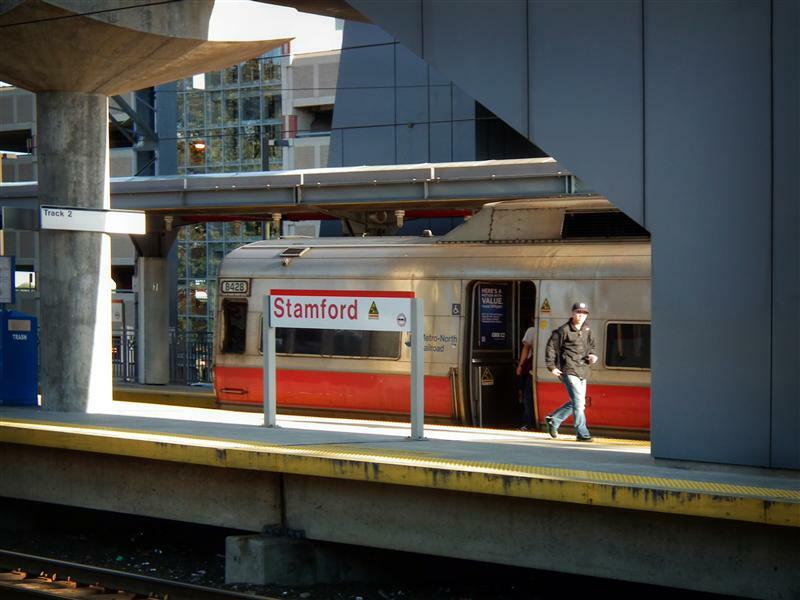 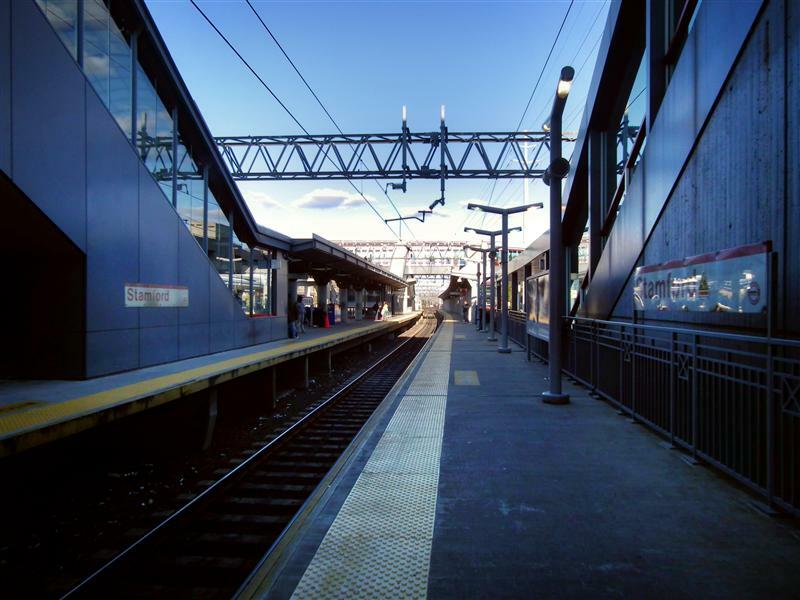 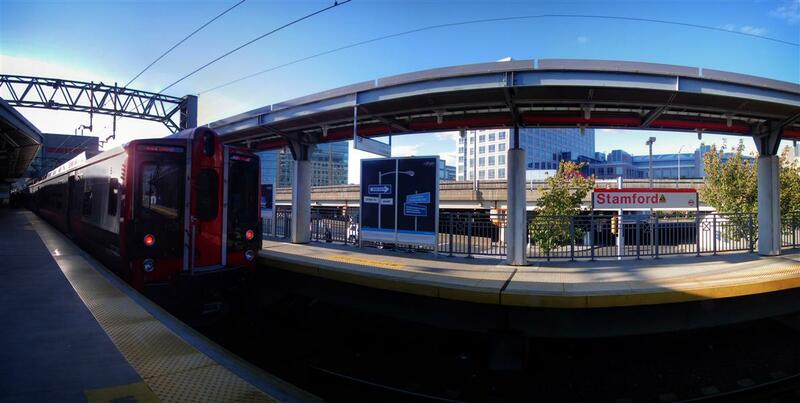 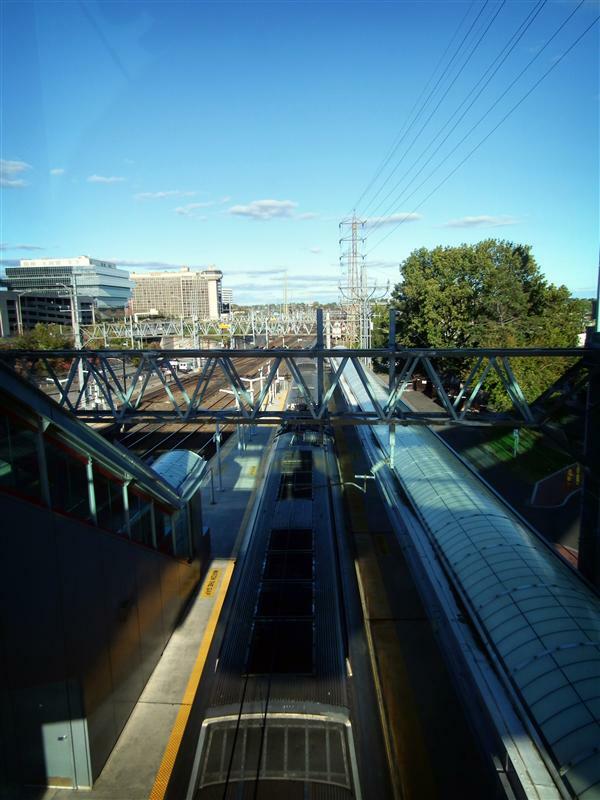 Stamford is much more utilitarian than it is beautiful, consisting of five tracks that accommodate both Metro-North and Amtrak trains, as well as a waiting area complete with a Dunkin Donuts and a MTA police station <insert stereotypical joke here>. 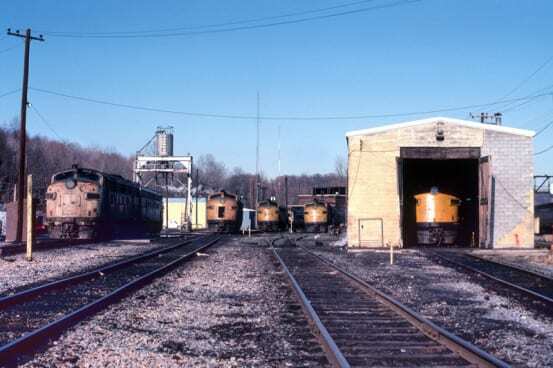 Throughout the many years the railroad has run through Stamford, there have been several different station buildings to occupy the space. 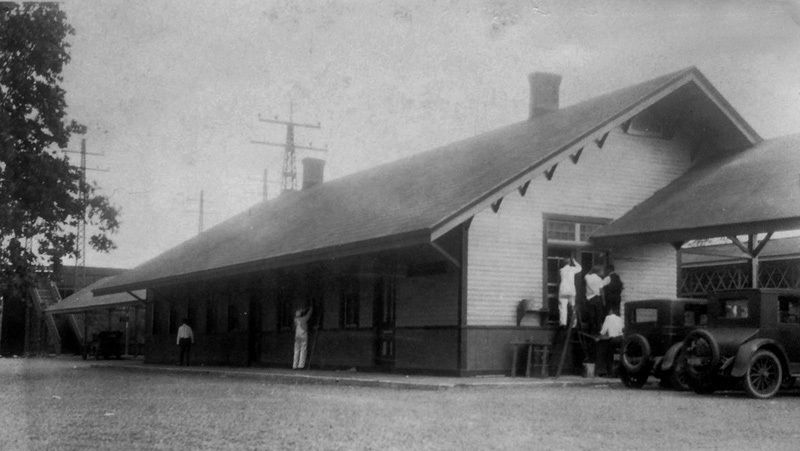 One of the buildings with the longest life-span was built in 1896, surviving for nearly 90 years, before being demolished to make room for the current station. 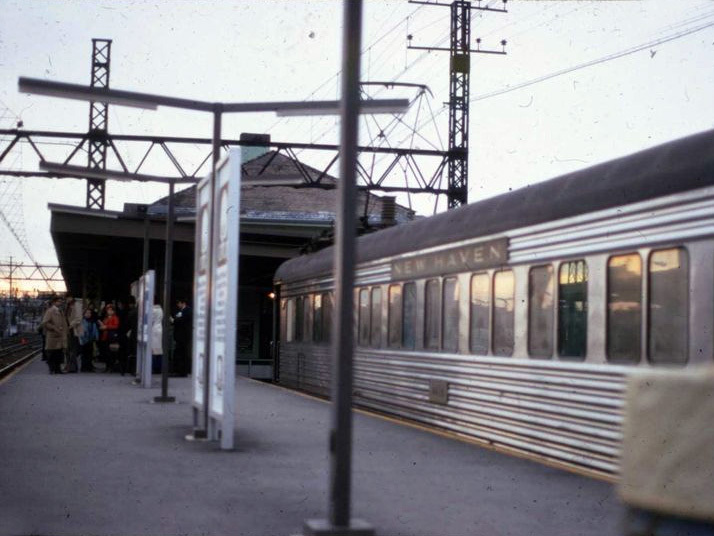 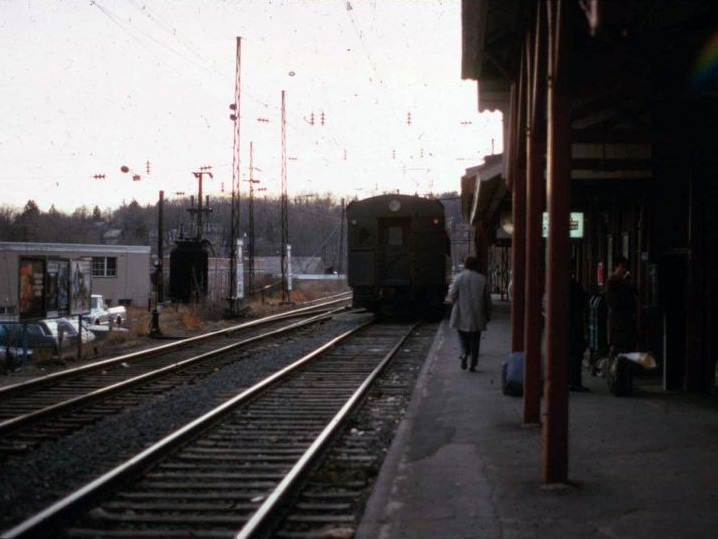 There were, in fact, two full stations on each side of the tracks – complete with ticket windows, bathrooms, baggage and waiting rooms. 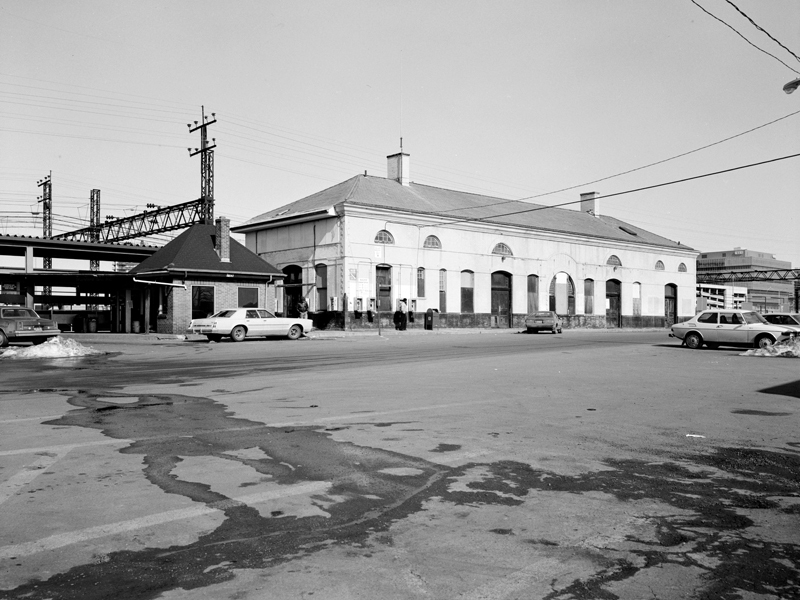 Although many New Haven Line stations had a building on both sides of the tracks, one of the two was usually smaller and did not have full amenities. 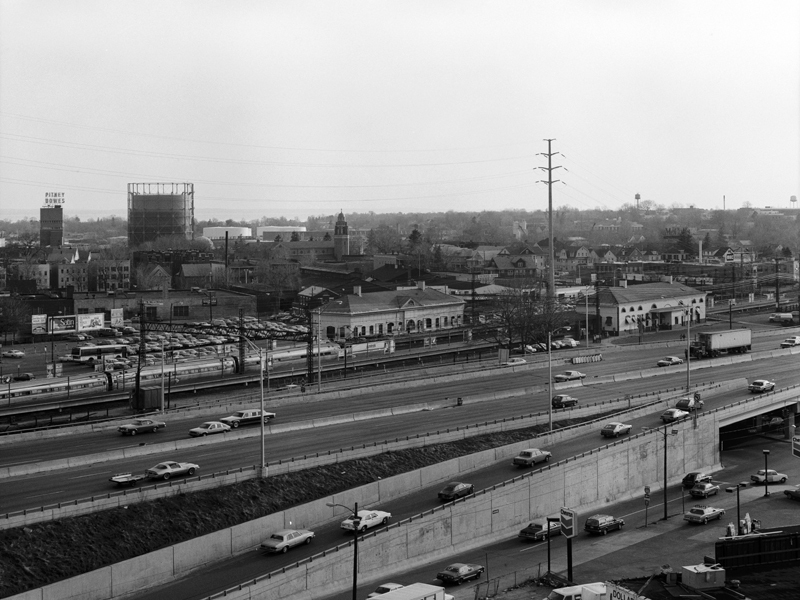 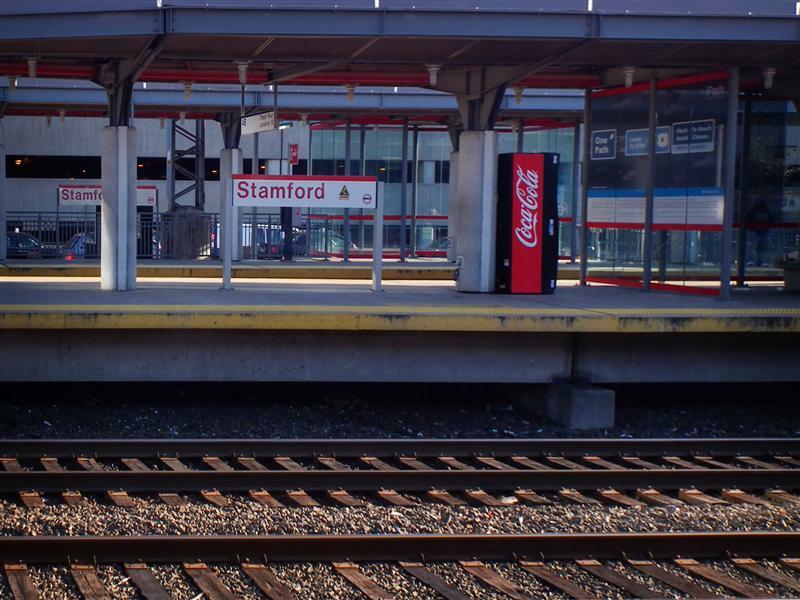 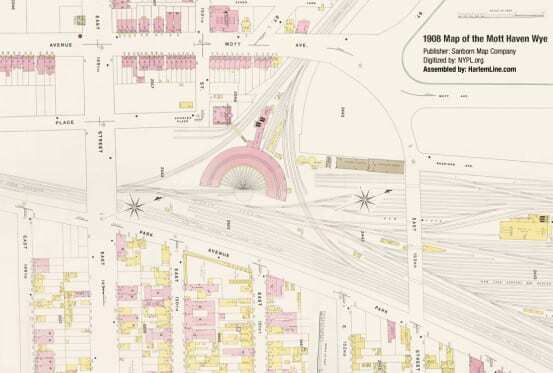 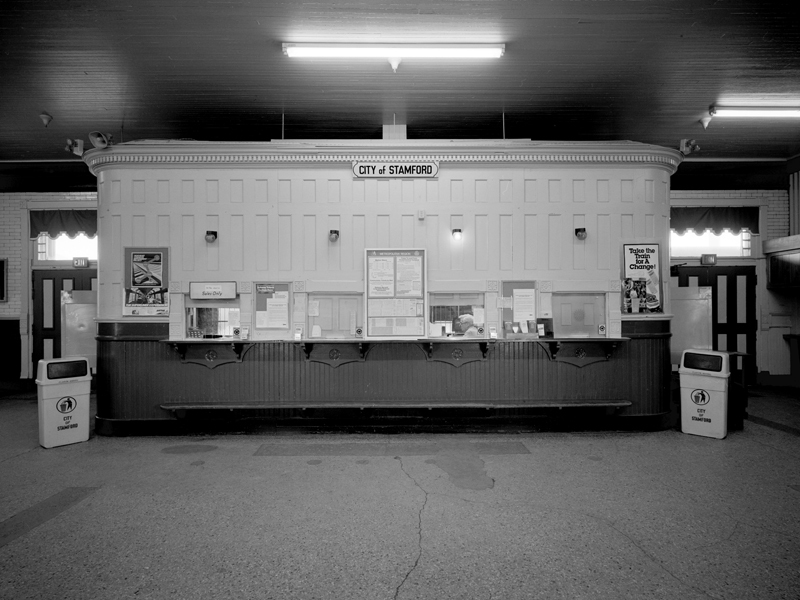 Stamford’s two full-service stations was a rarity, and reflected the station’s importance. 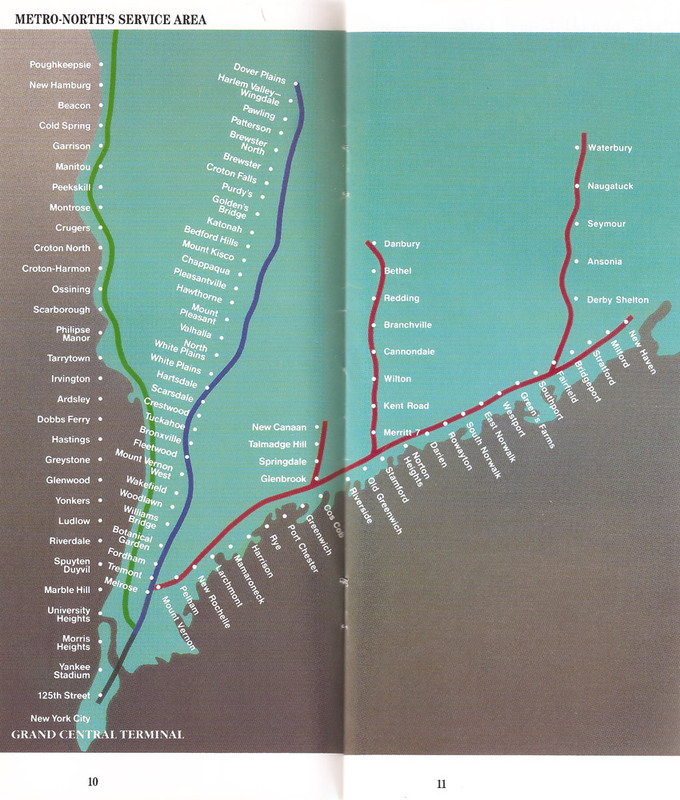 By October of 1907, the line from New York up to Stamford was electrified, which lead to even further population growth in the city. 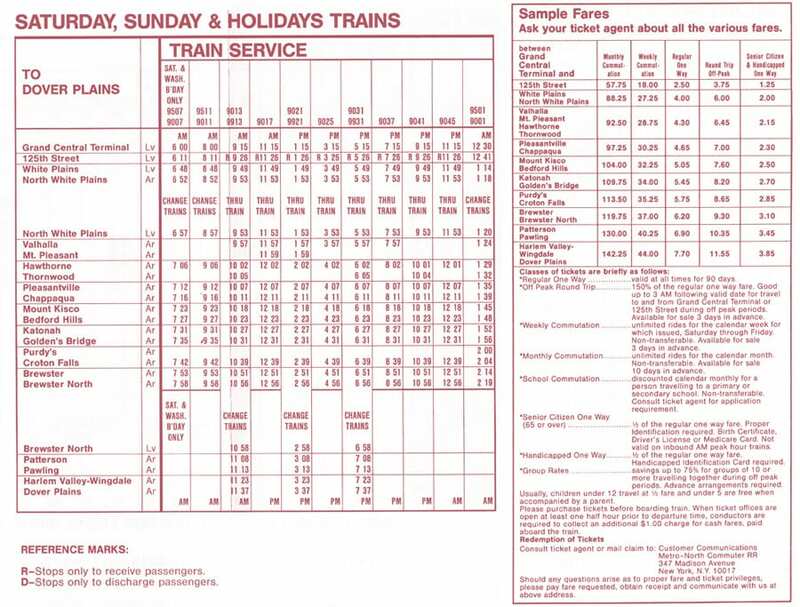 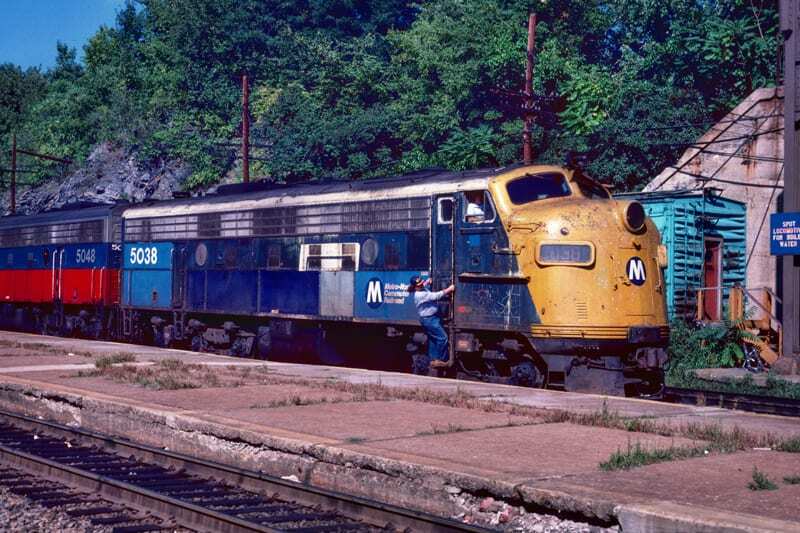 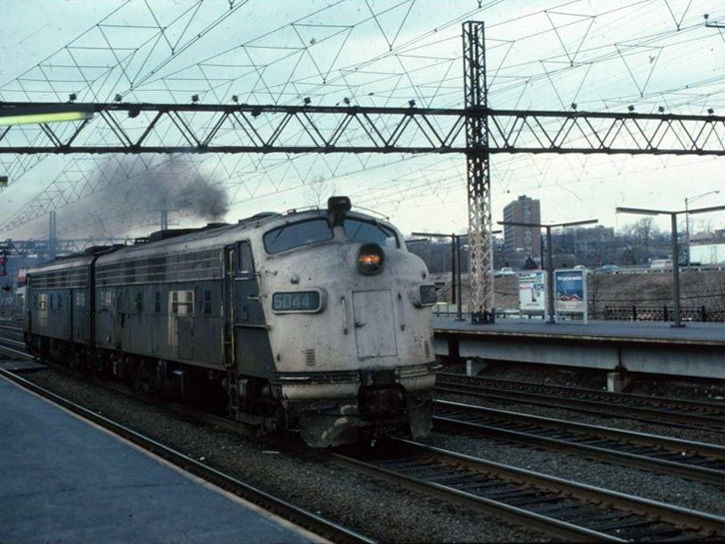 Stamford station did not see any major changes until 1972, when high-level platforms were constructed to accommodate the new “Cosmopolitan” railcars (M2’s), and again in the early 1980’s when the historical station buildings were razed to make room for the current station. 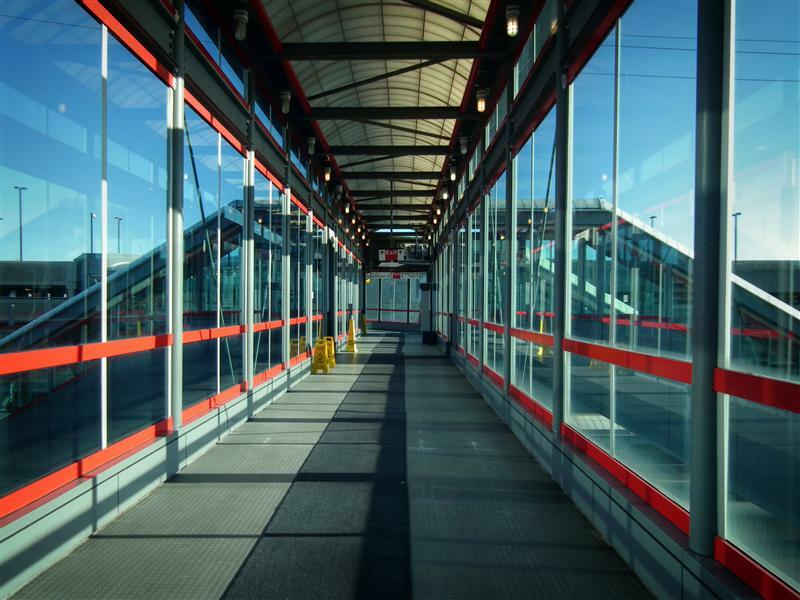 The current station at Stamford, known as the Stamford Transportation Center, was completed in 1987. 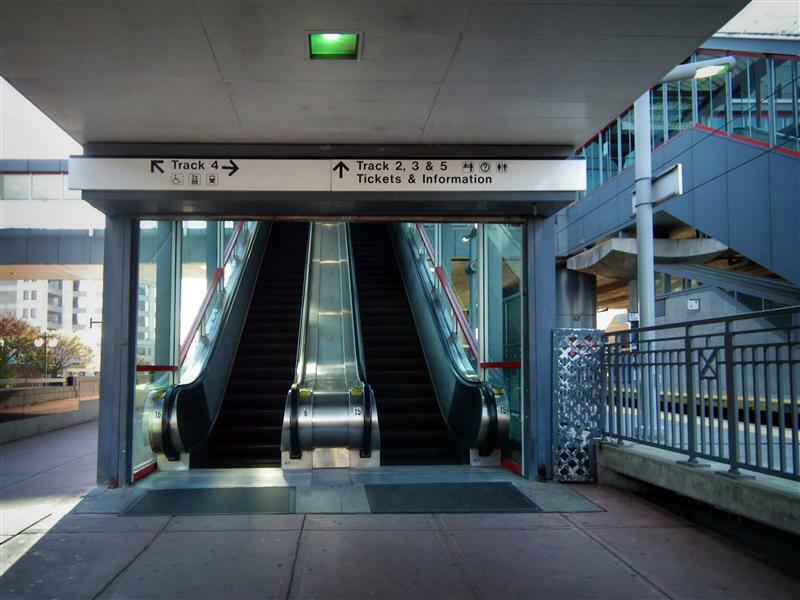 The construction took around five years and cost a very over-budget $40 million dollars. 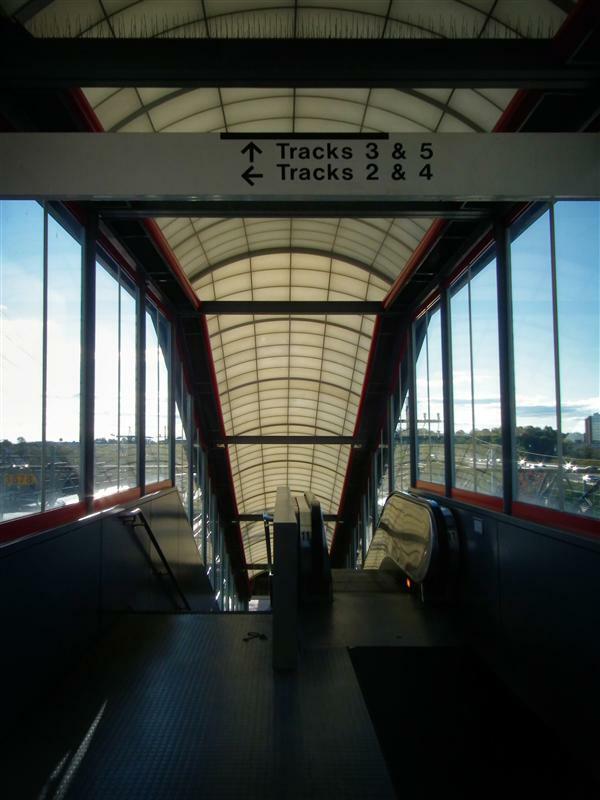 The new station opened to less than stellar reviews, using an array of embarrassing adjectives such as dismal, uncomfortable, and gruesome. 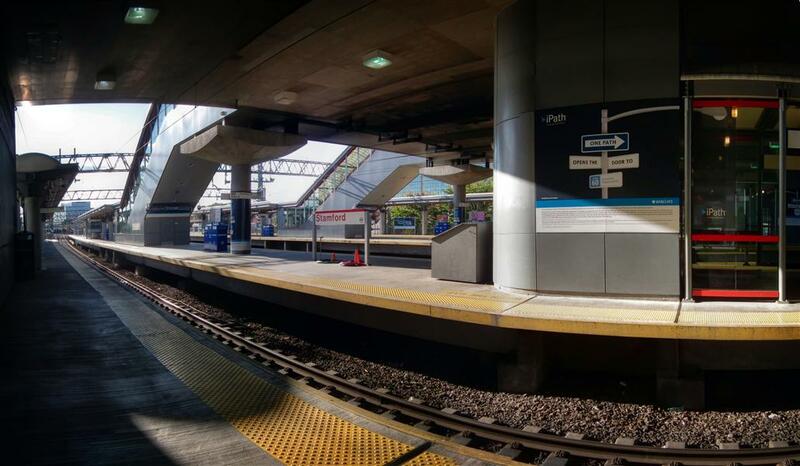 Though there have been renovations in the time since, the station still feels like a massive, unfriendly box of concrete. 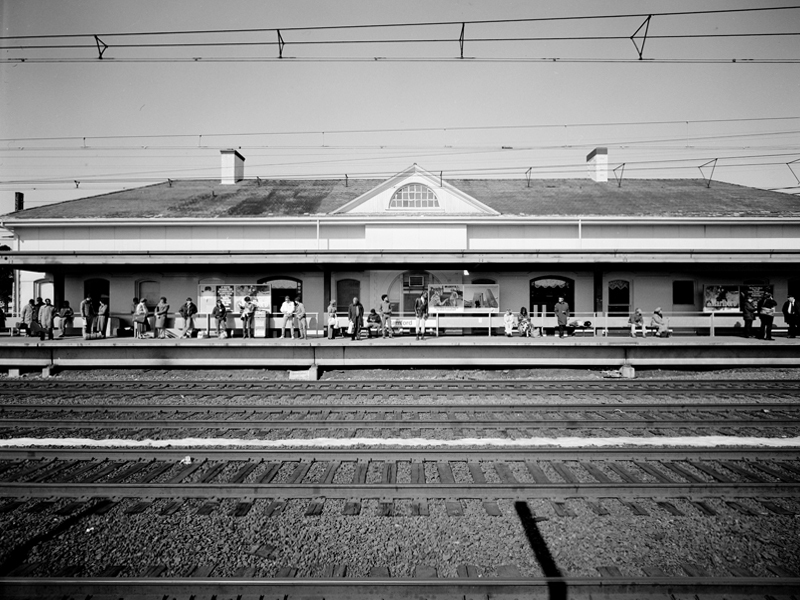 The high concentration of police also made me absolutely frightened to take pictures, though there were many places that I could have. 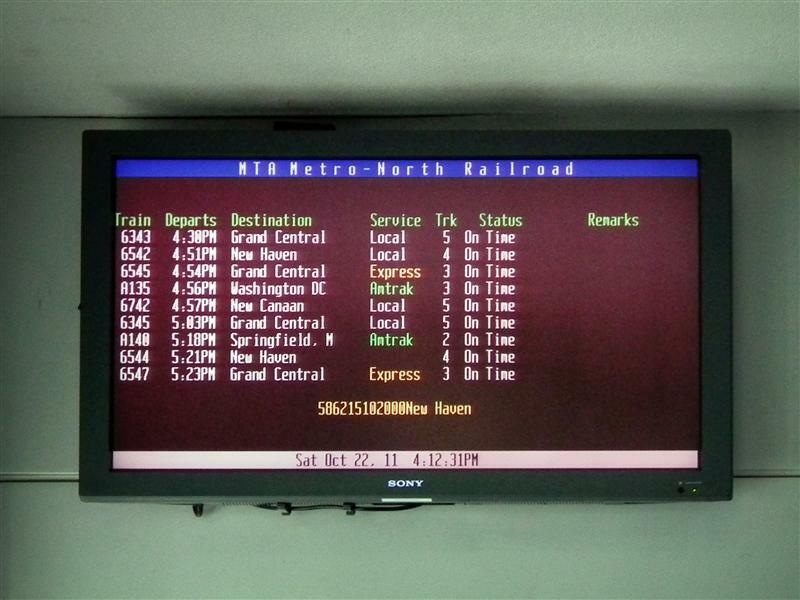 Any station with that many tracks usually equals more opportunities to capture the movement of trains. Although I got a few shots of the new M8 railcars, the rest of the station is remarkably drab and relatively non-noteworthy… especially compared to some of the wonderful things we’ve seen on the New Haven Line. 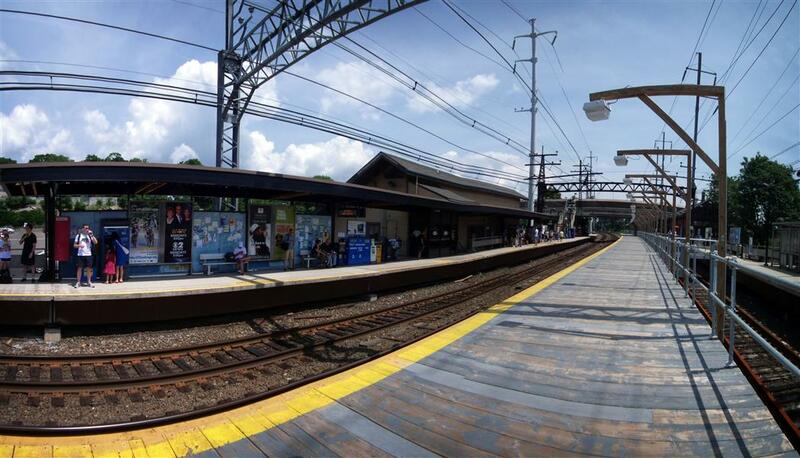 So… that is it. 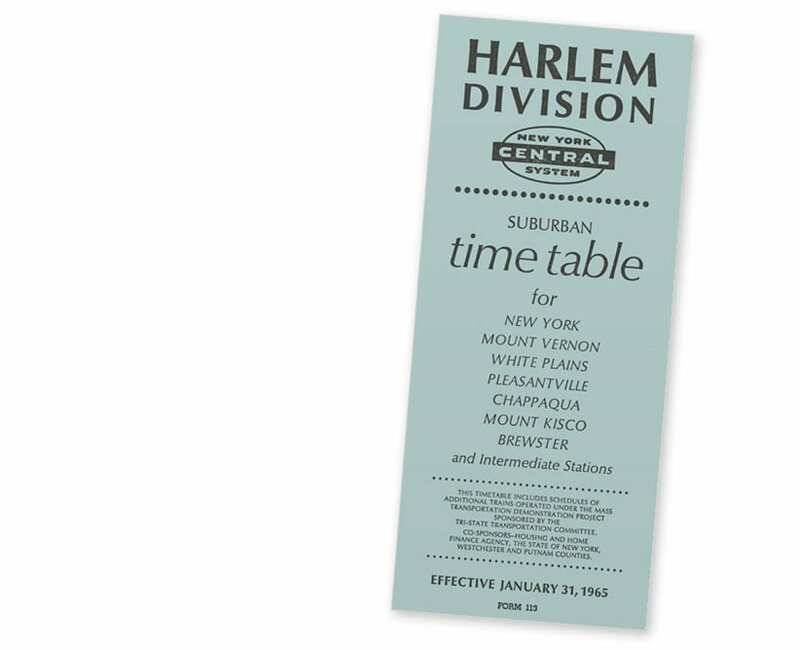 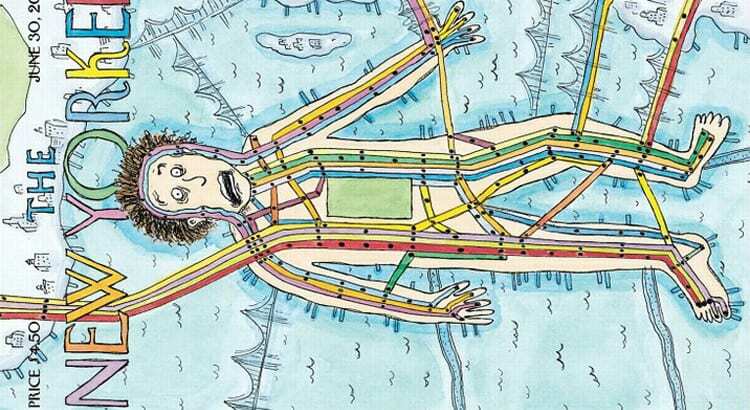 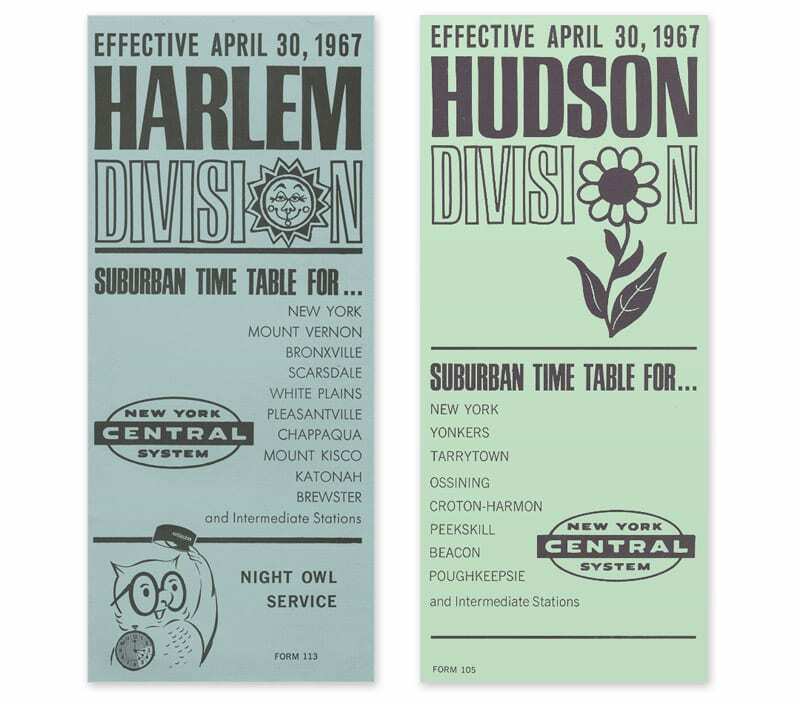 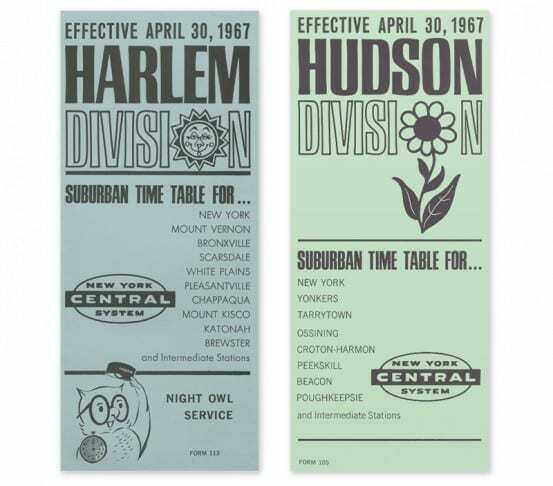 We’ve officially toured the entire Harlem Line, and the entire New Haven Line. Up next will be the Port Jervis Line, which I photographed last year, followed by the Hudson Line, which I will start photographing soon. 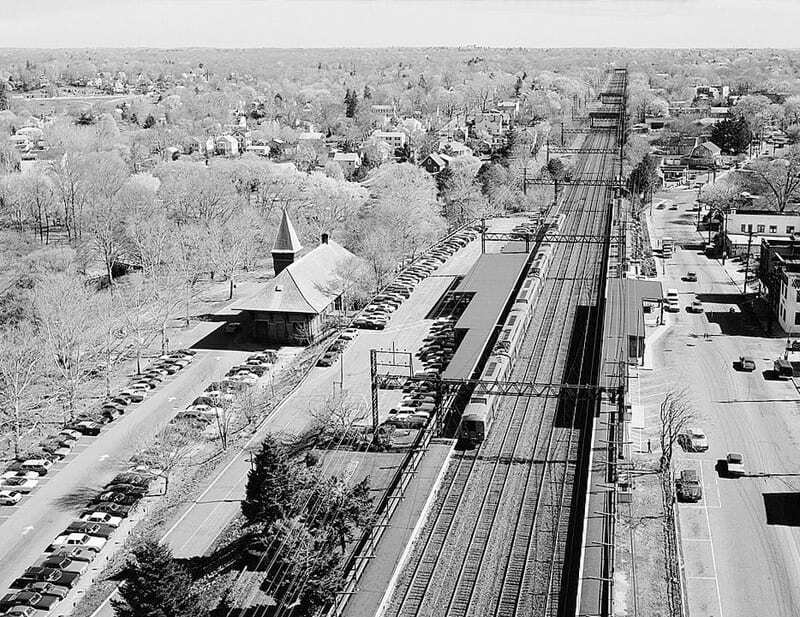 Aerial view of Mamaroneck. 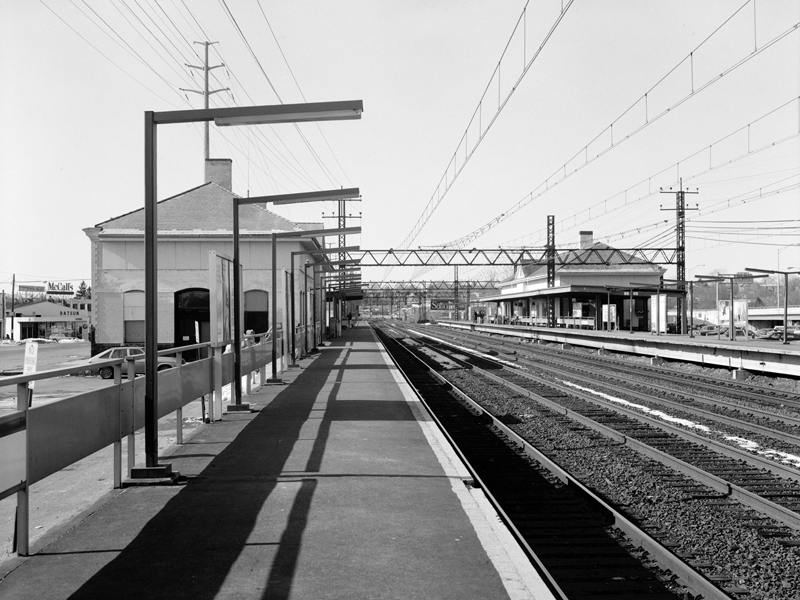 The old station is to the left, away from the tracks and platform. 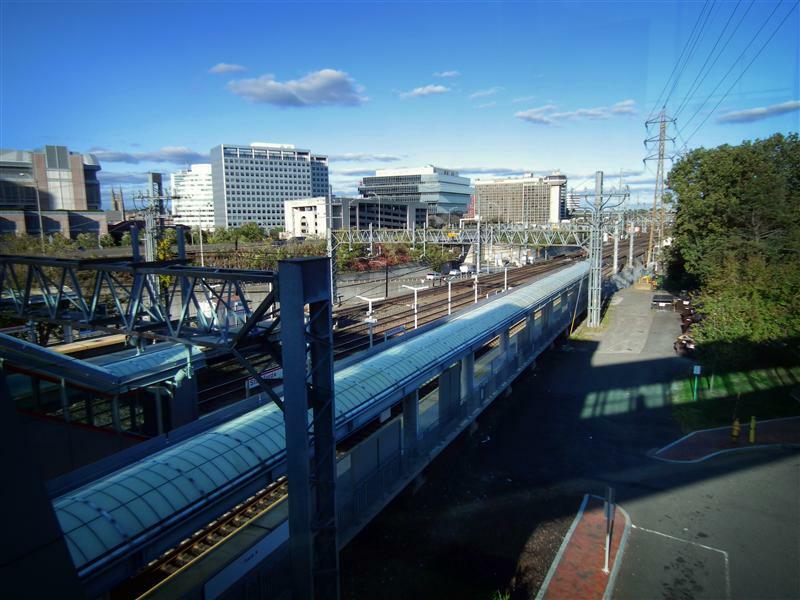 Welcome to one of the final Tuesday Tours of the New Haven Line. 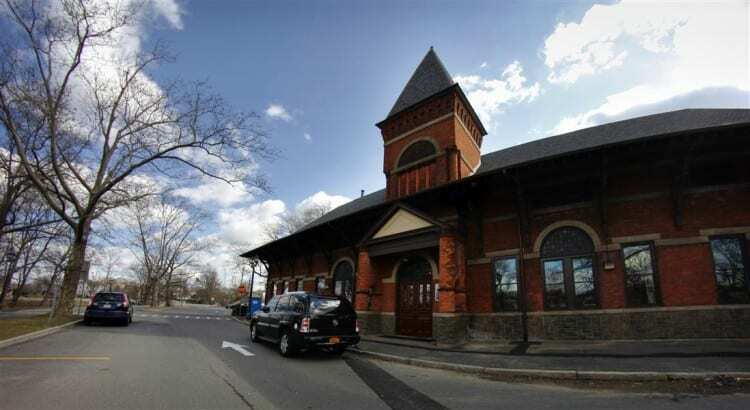 Our stop today is the delightful village of Mamaroneck. 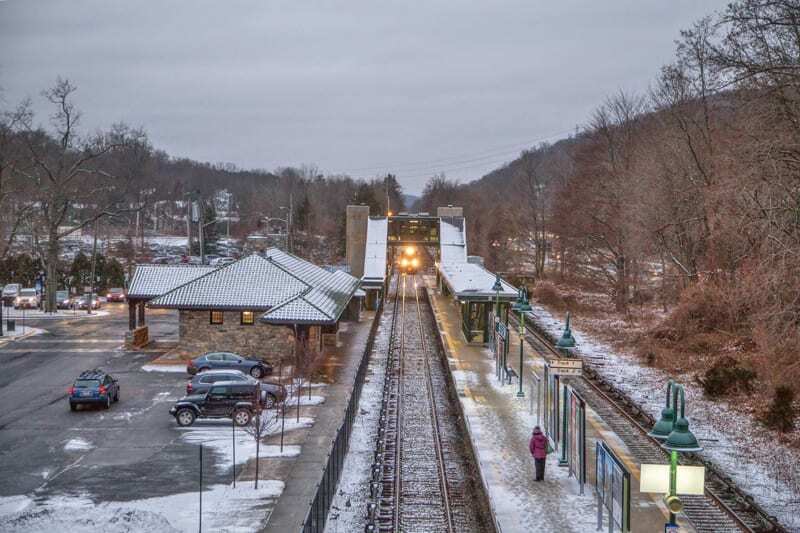 I had every intention of posting Mamaroneck last – I even had Darien’s tour ready to go – but I happened to get a sneak peek of the newly-restored station over the weekend, and couldn’t resist posting it right away. The station, built in 1888 in the Richardsonian Romanesque style (which, admittedly, is one of my favorites), is certainly one of the nicest (and second oldest) on the New Haven Line. 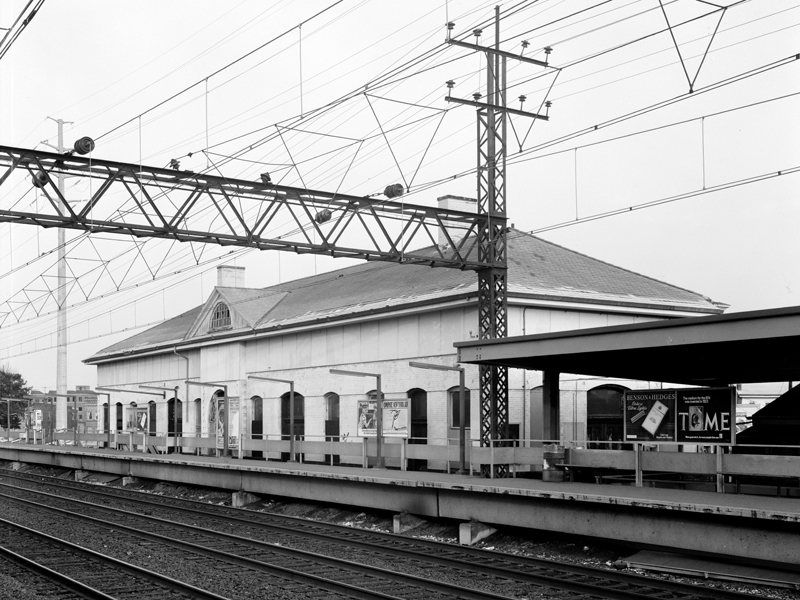 However, like many old stations, the condition of the building had degraded, and it needed a lot of work. 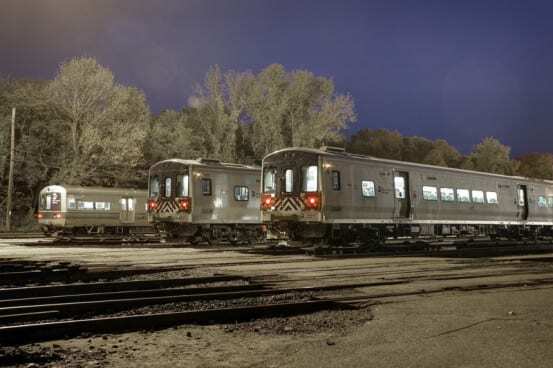 Metro-North, who owned the station, was having difficulties finding someone to lease the place in the condition it was in. 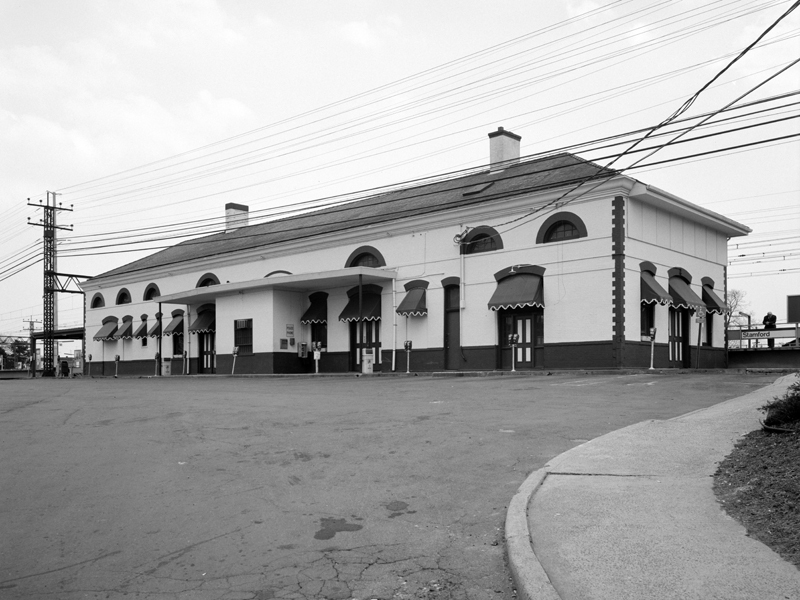 Without the funds to renovate the station themselves, Metro-North instead listed the station for sale in 2007. 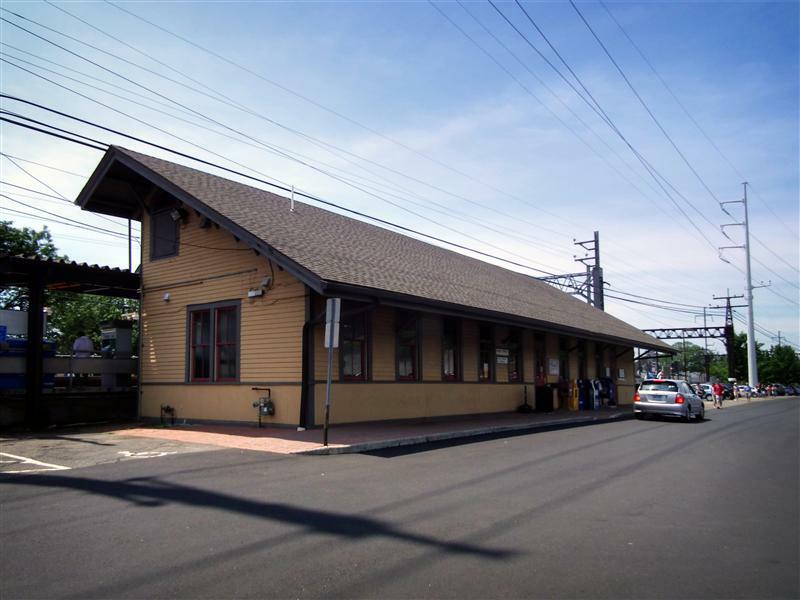 Though various parties were interested in the station, it was ultimately sold in 2008 to John and Chris Verni of Verco Properties, for $1.25 million. 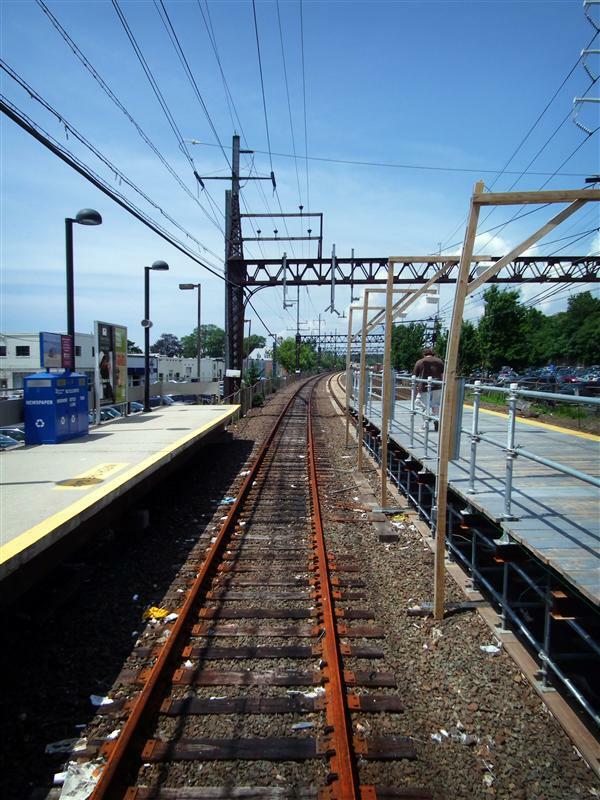 Renovations began after a formal groundbreaking ceremony on April 22, 2010. 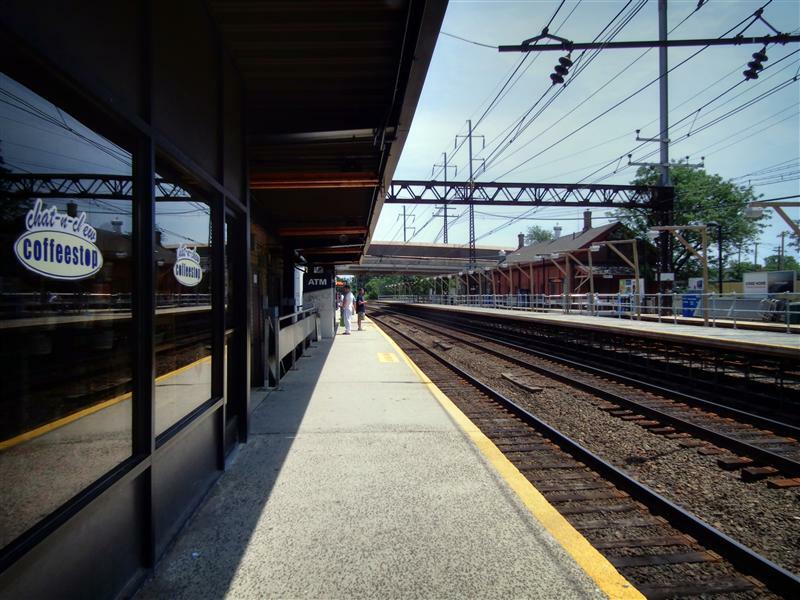 During my first visit to Mamaroneck last September, I happened to get a few shots of the station while the restoration was in progress. 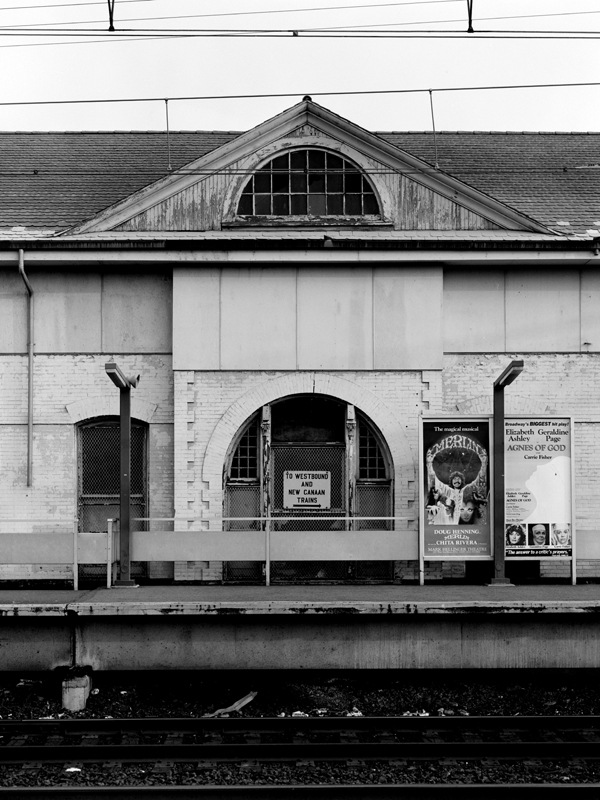 It didn’t look like too much had been completed yet, but I was feeling very optimistic about this place, and knew I would return at some point. 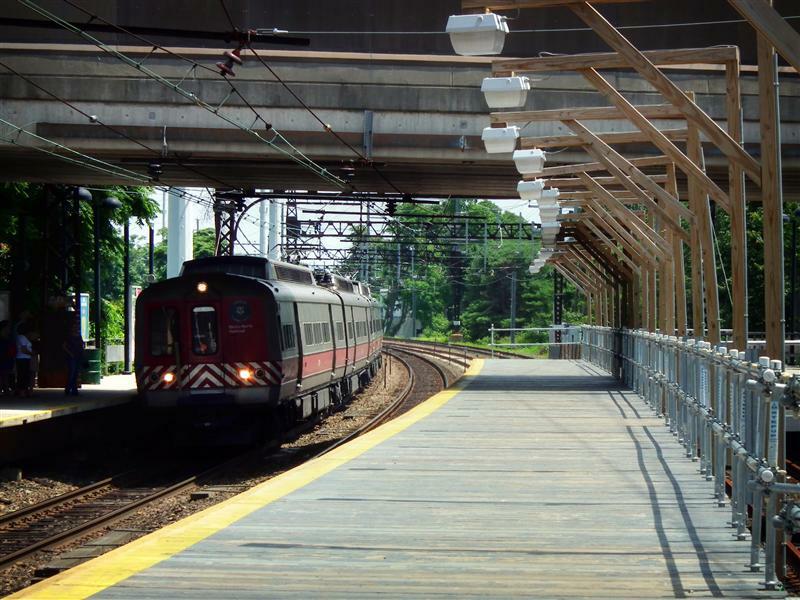 Welcome to Fairfield, the next stop on our tour of the New Haven Line. 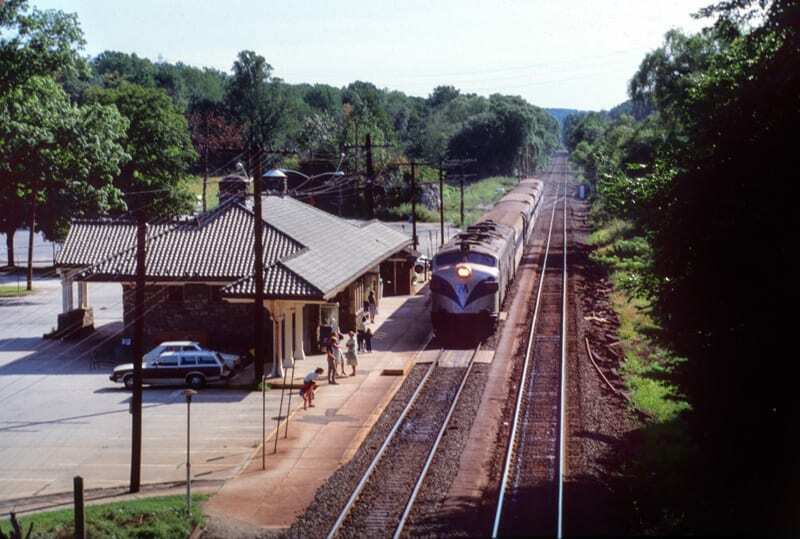 Although it isn’t as hip as the new Fairfield Metro station, it does have a bit of history – including an 1882 station listed on the National Register of Historic Places. 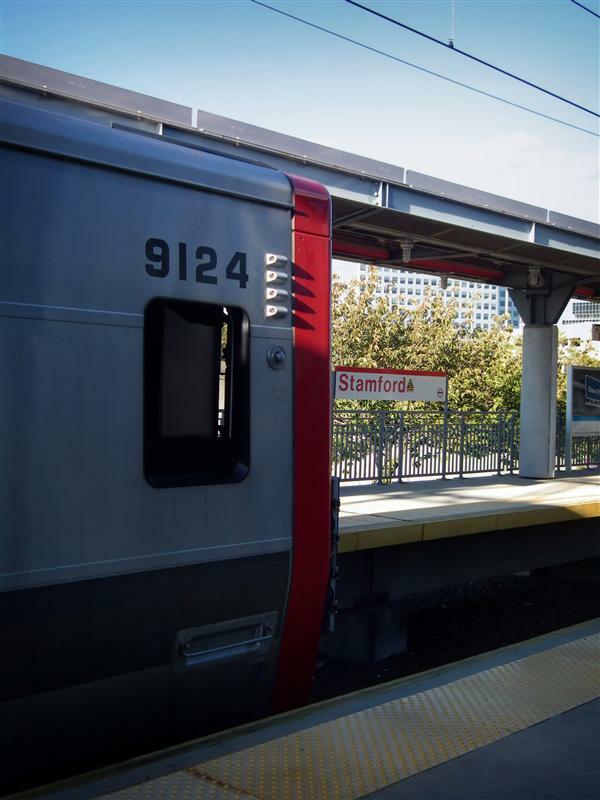 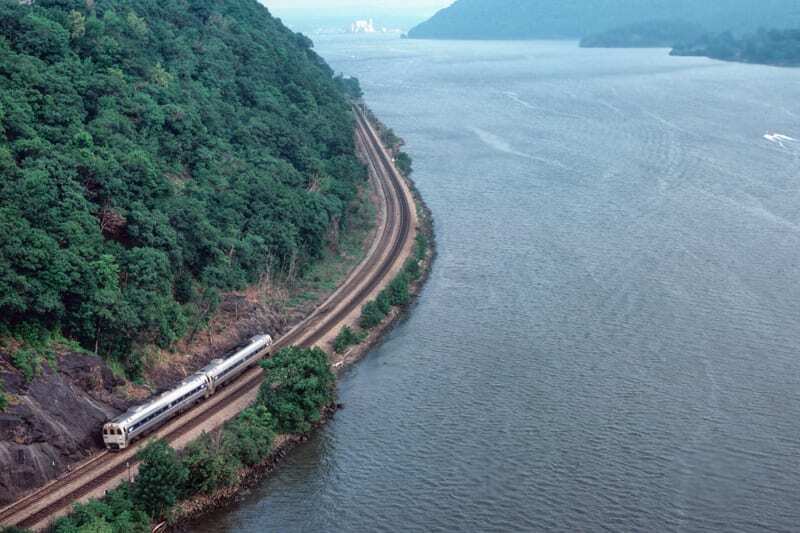 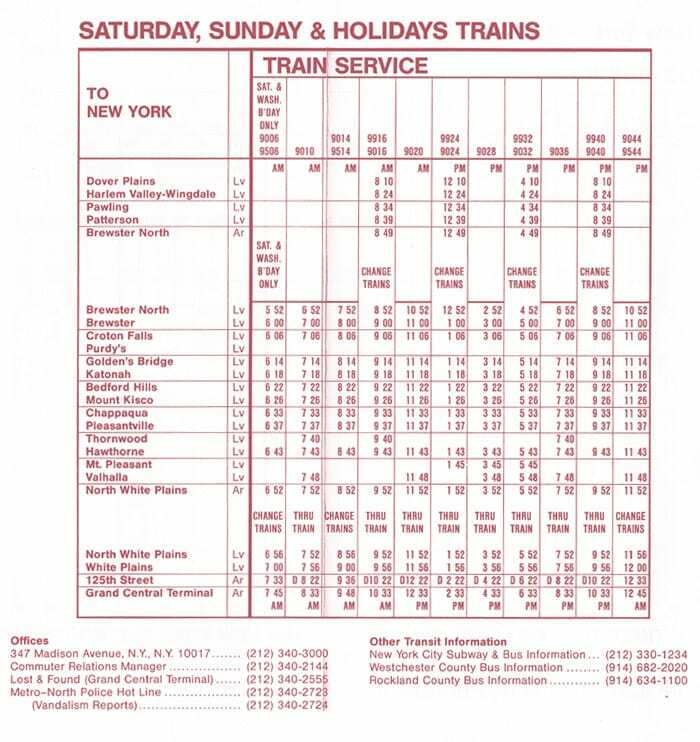 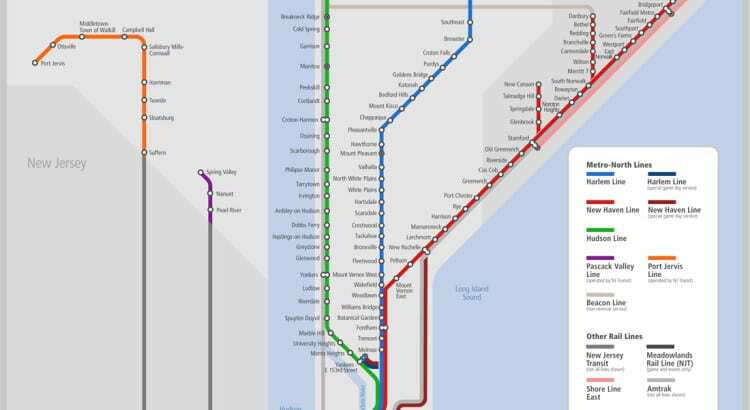 Located just over 50 miles from Grand Central, a train trip to the city from Fairfield takes about an hour and fifteen minutes. 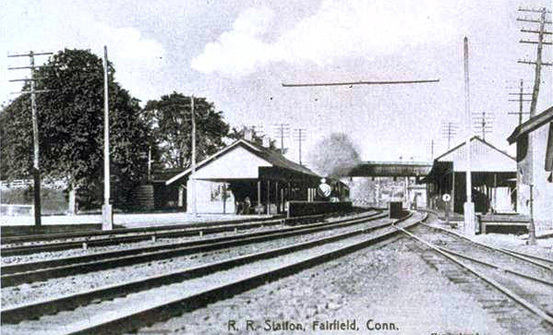 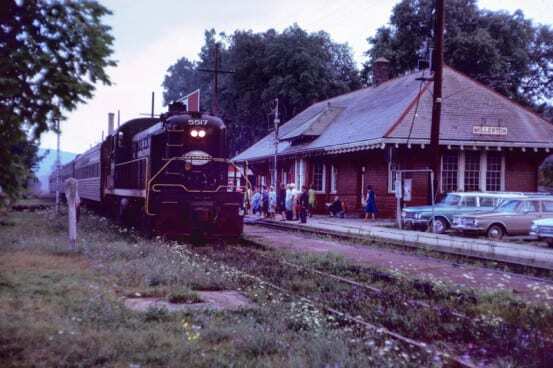 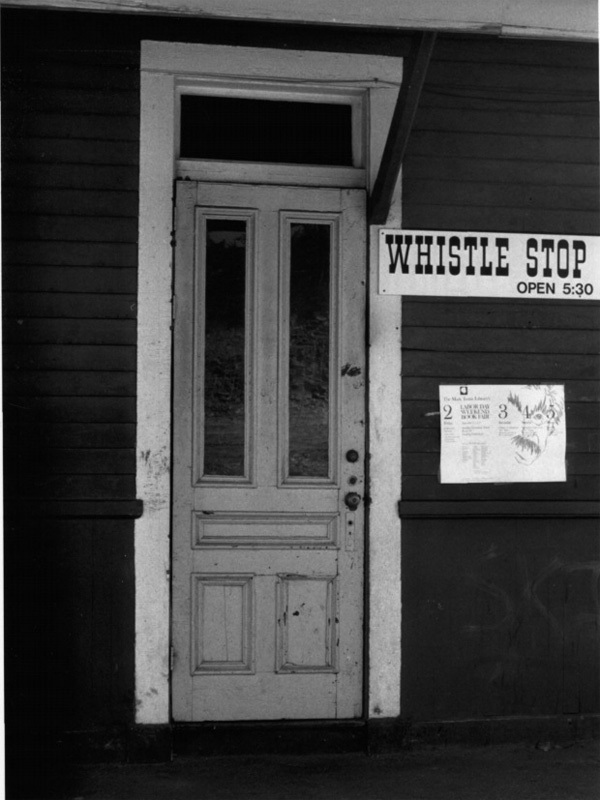 Many of today’s historical images of Fairfield station have come from a site called Tyler City Station, which is filled with information about Connecticut stations, and is quite wonderful. 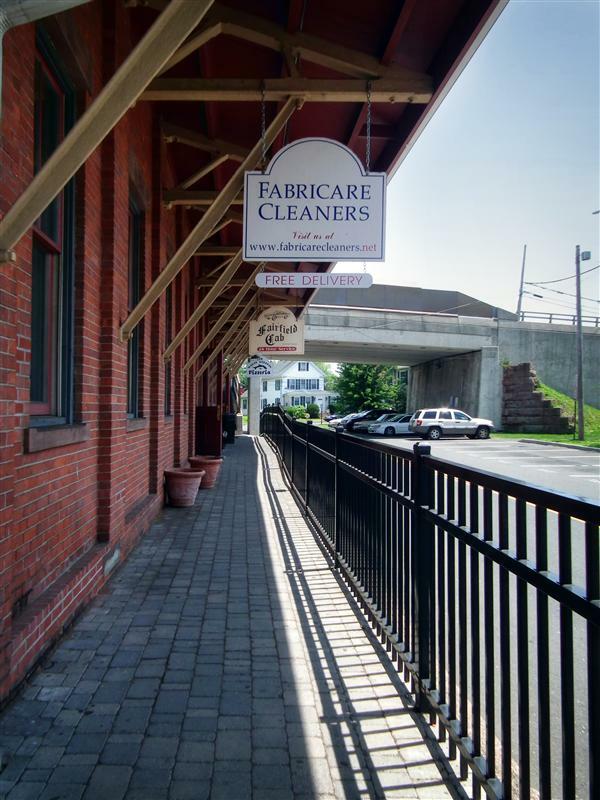 It is definitely worth checking out. 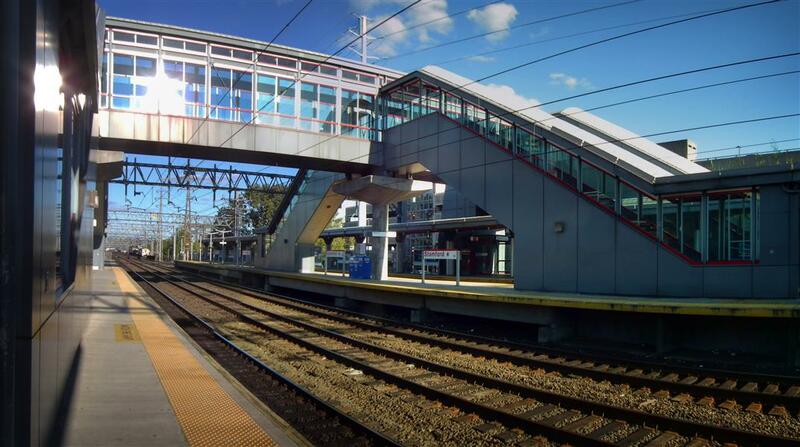 One of the nice things about New Haven main line stations are the configuration of the tracks. 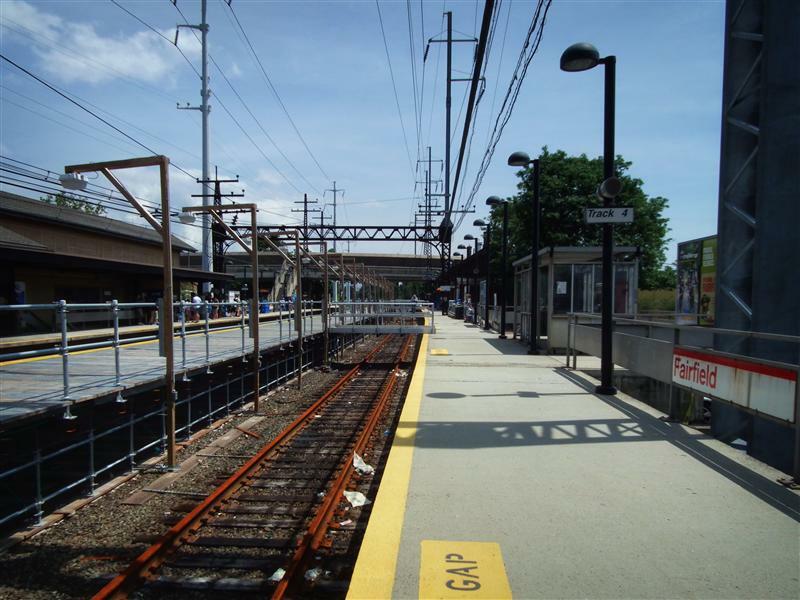 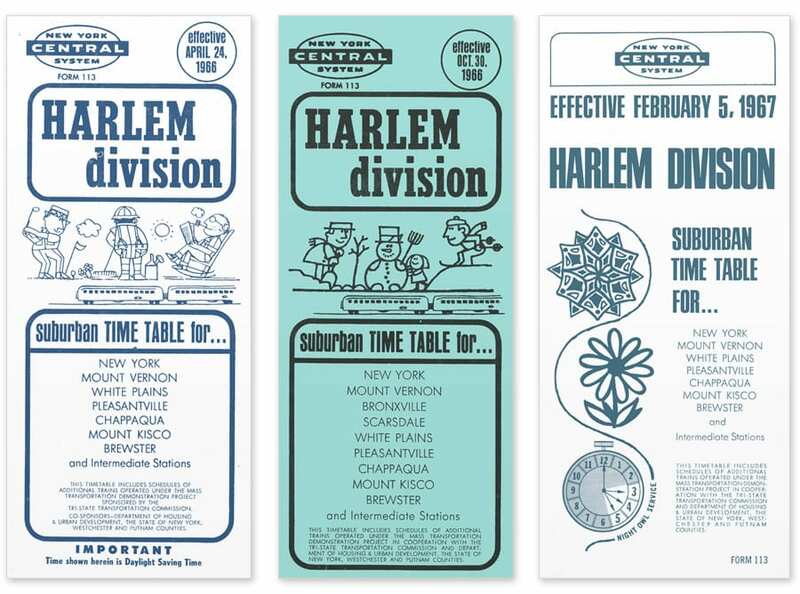 Instead of having an island platform, like a lot of Harlem Line stations, there are two platforms – one on each side of the four tracks. 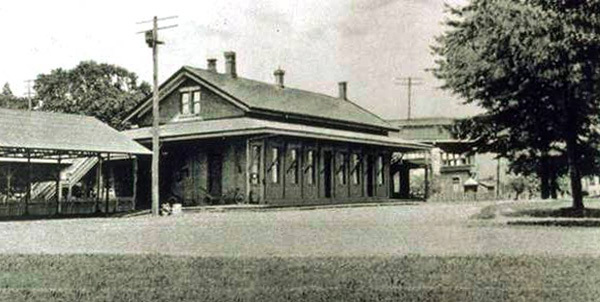 Because of this arrangement, there were usually two station buildings, one on the New Haven (or eastbound) side, and one on the New York (or westbound) side. 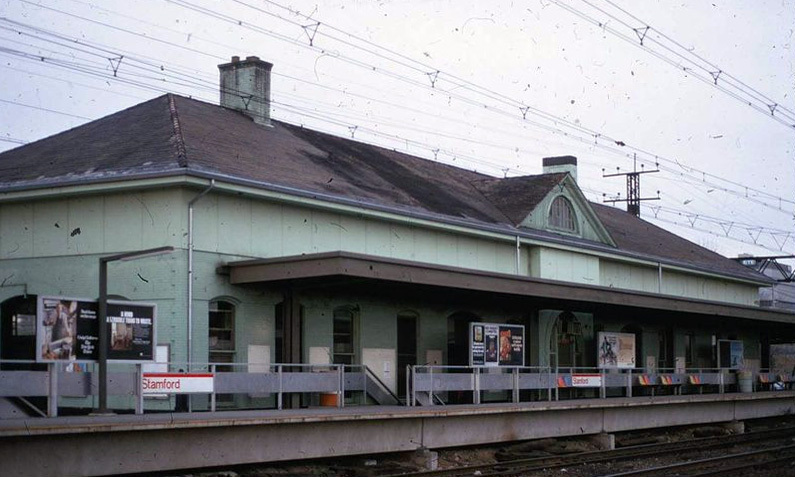 While many stops along the line have only retained one of their stations, Fairfield has managed to preserve both. 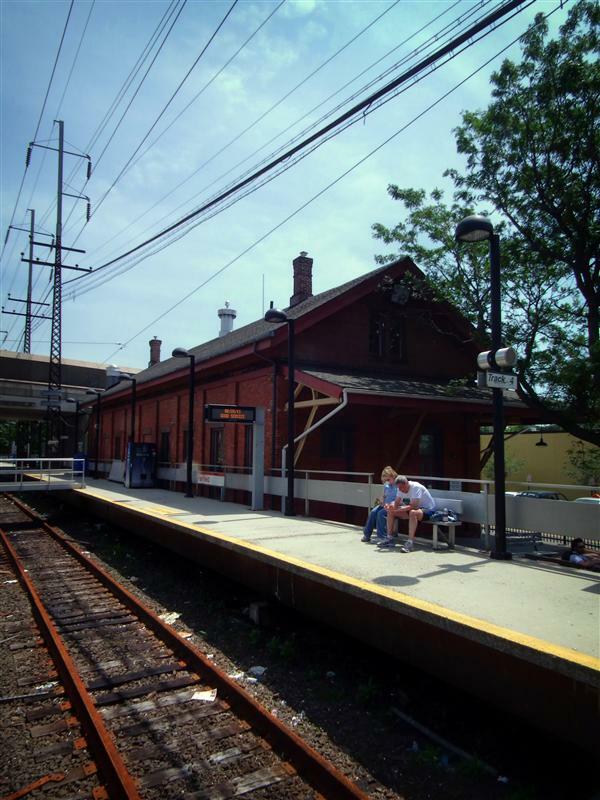 Fairfield’s eastbound station is the oldest of the two, a brick building constructed in 1882. 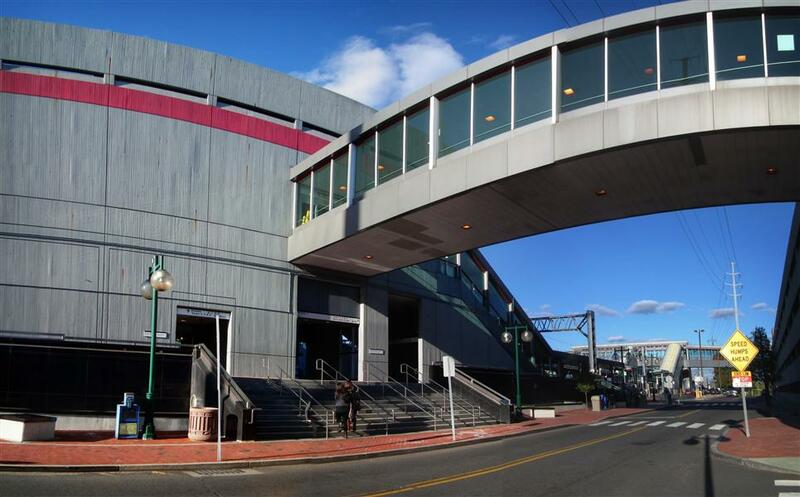 The building measures 26 feet by 82 feet, and is one and a half stories in height. 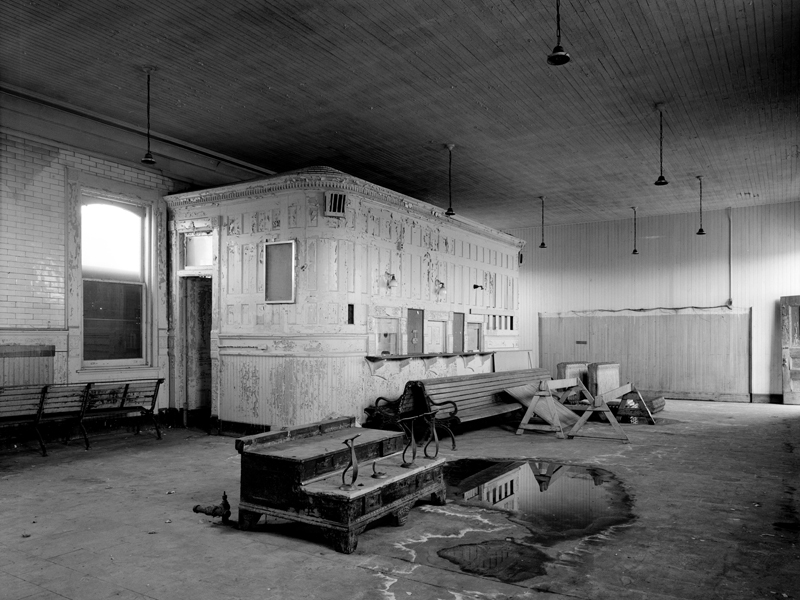 The inside has high ceilings and hardwood flooring. 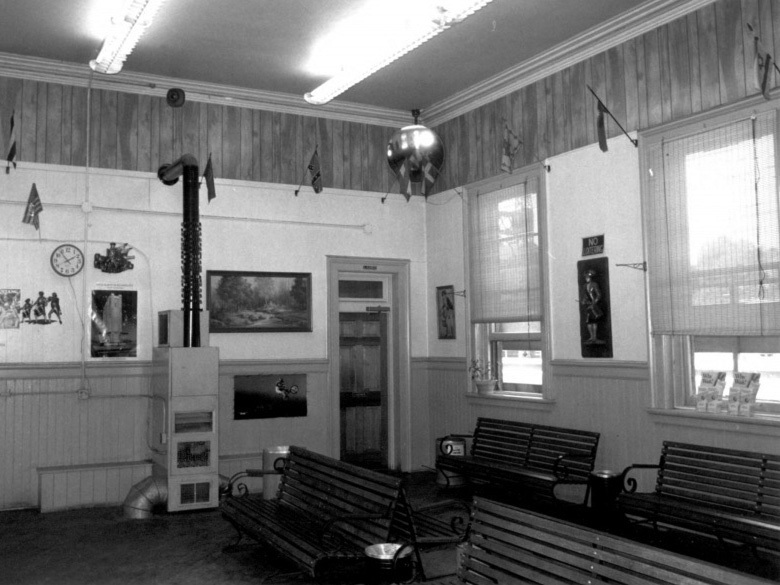 The old waiting room is used by a taxi company, and the building also contains a restaurant and cleaners. 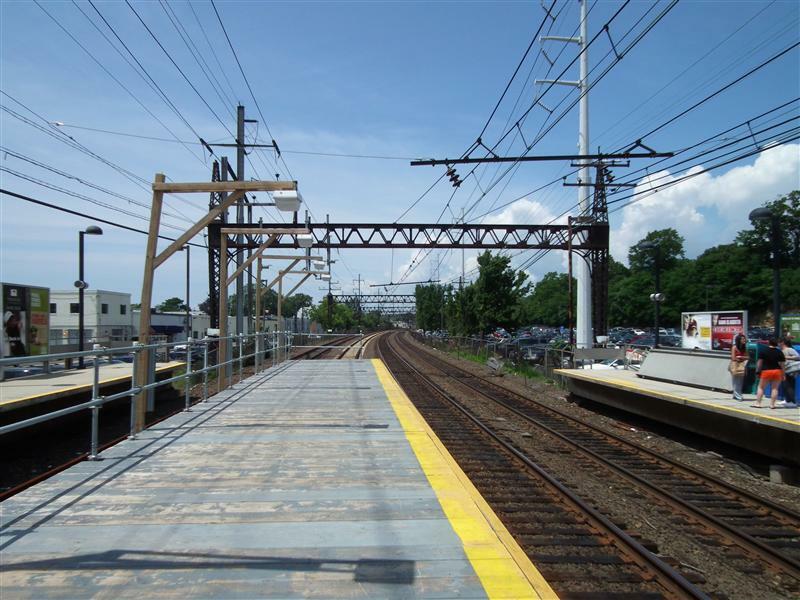 The westbound station is constructed of wood and measures 30 feet by 90 feet. 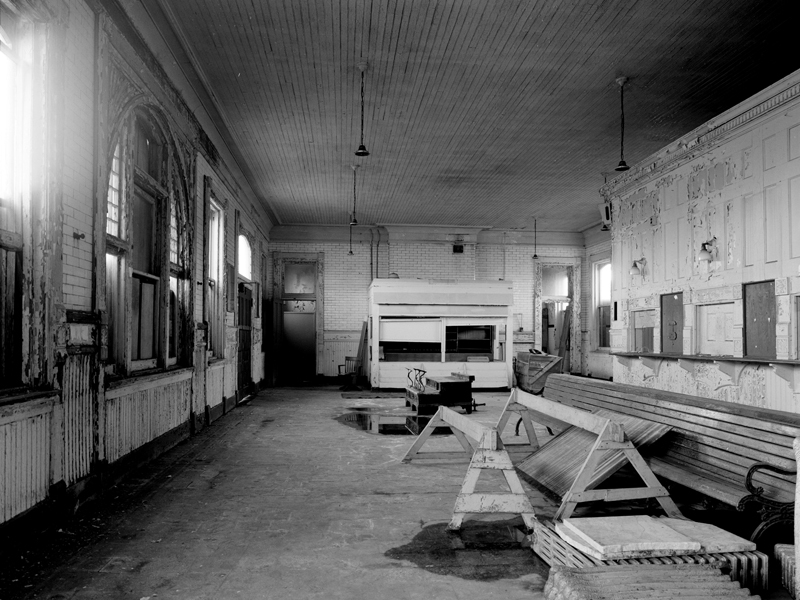 It also has hardwood flooring, and is partially occupied by a coffee shop. 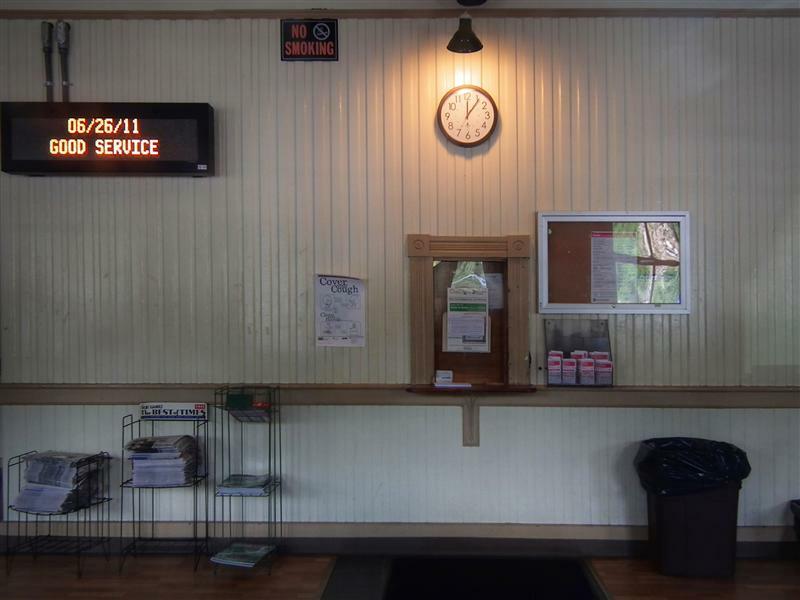 There is a small waiting area that once served as a ticket office, but Metro-North closed that window in 2010. 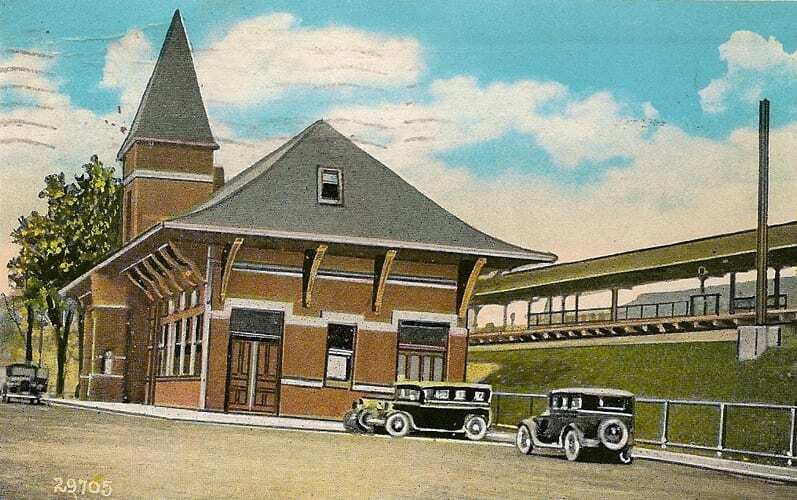 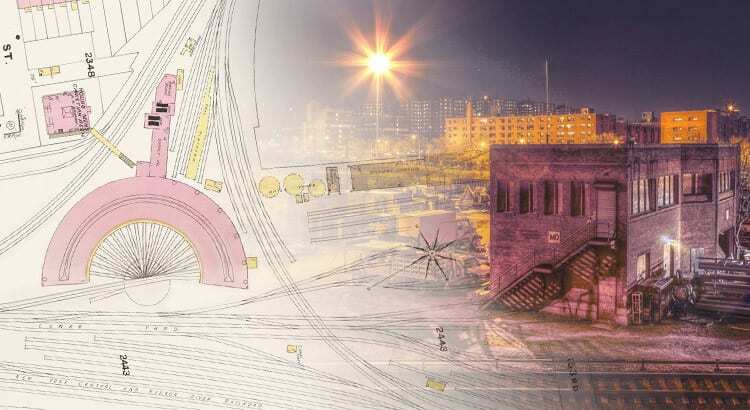 The design is similar to several other stations we’ve featured, as reusing the architectural plan for multiple stations was a method of cost savings for the railroad. 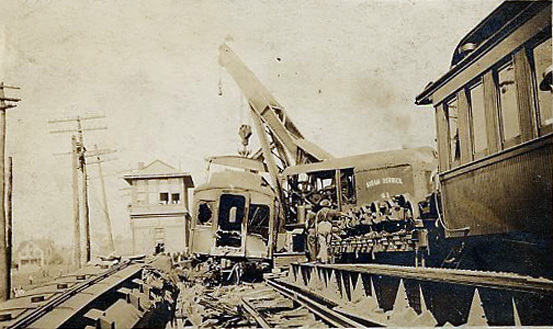 Because we’re all fascinated (or at least I am) with train crash images, here is one in Fairfield. 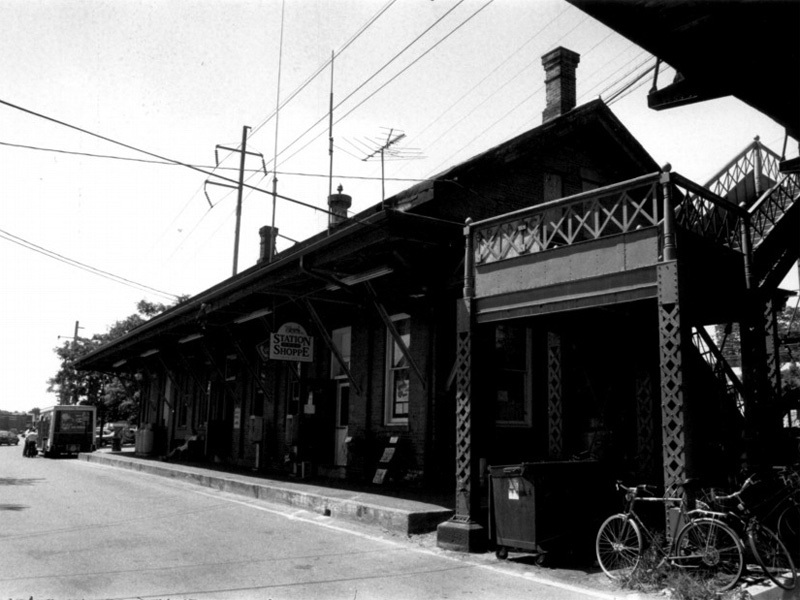 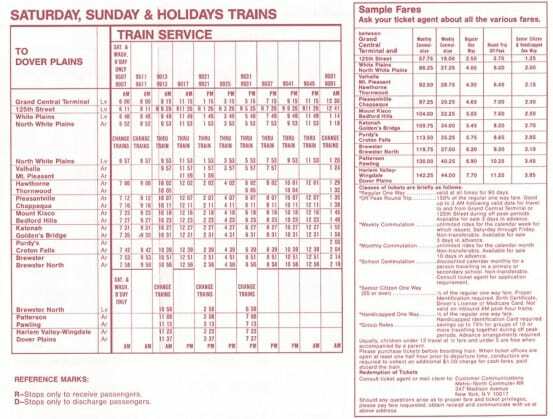 Photos of Fairfield in 1988, from the application for listing the station on the National Register of Historic Places. 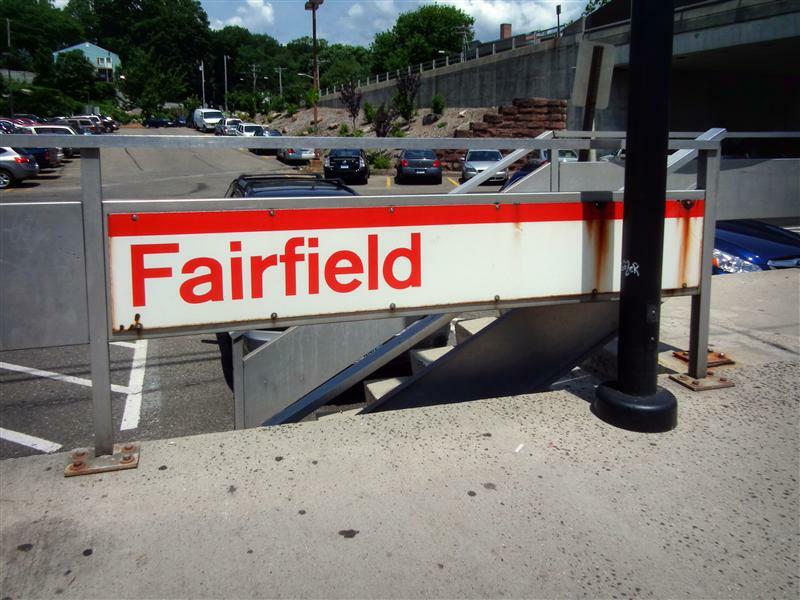 That is about all I have on Fairfield, and for our tour today. 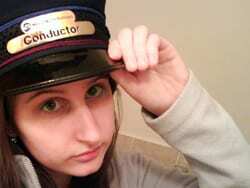 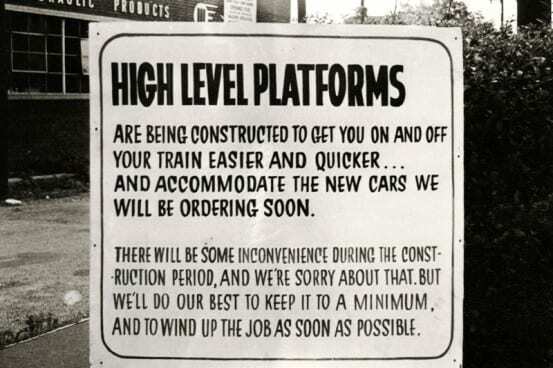 At the time of my visit there was some construction going on, and some tracks were out of service. 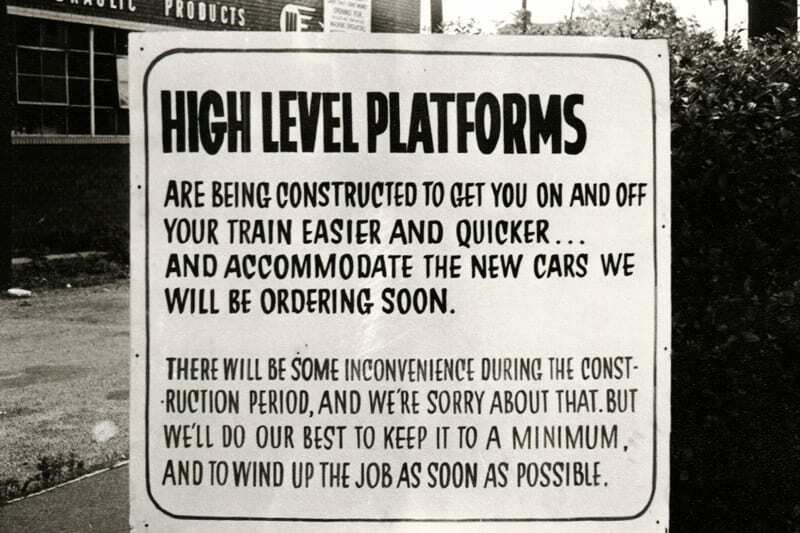 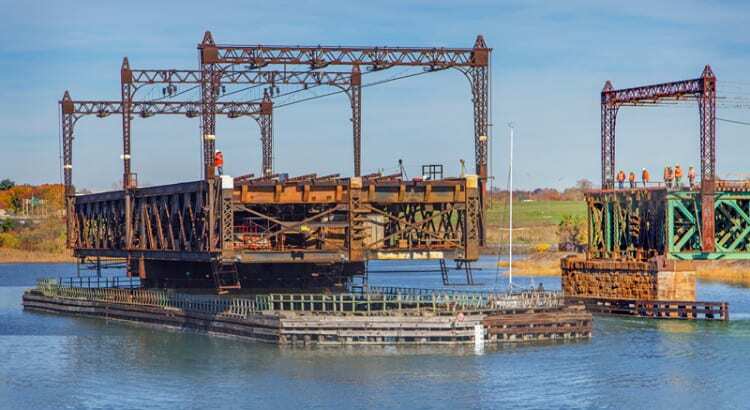 You will note in several of the photos that trains were boarding from temporary wooden platforms, instead of the normal concrete side platforms, because of this construction.